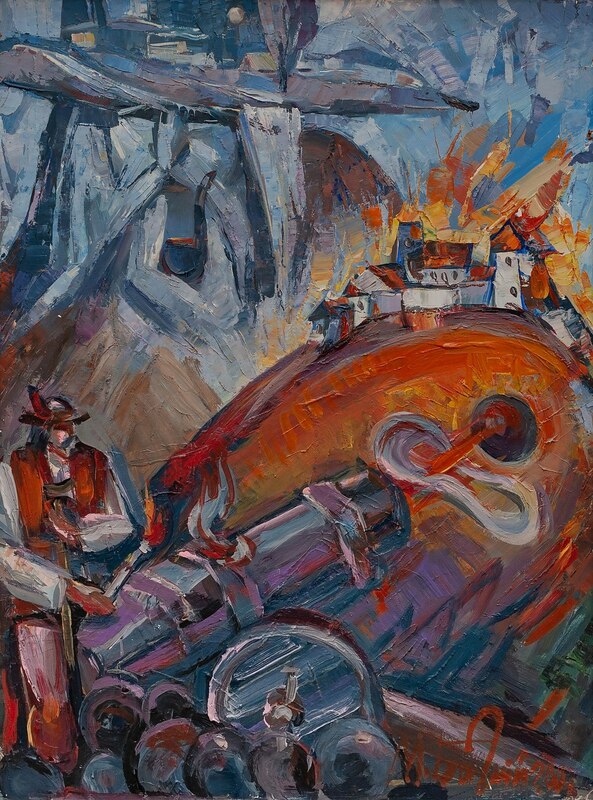 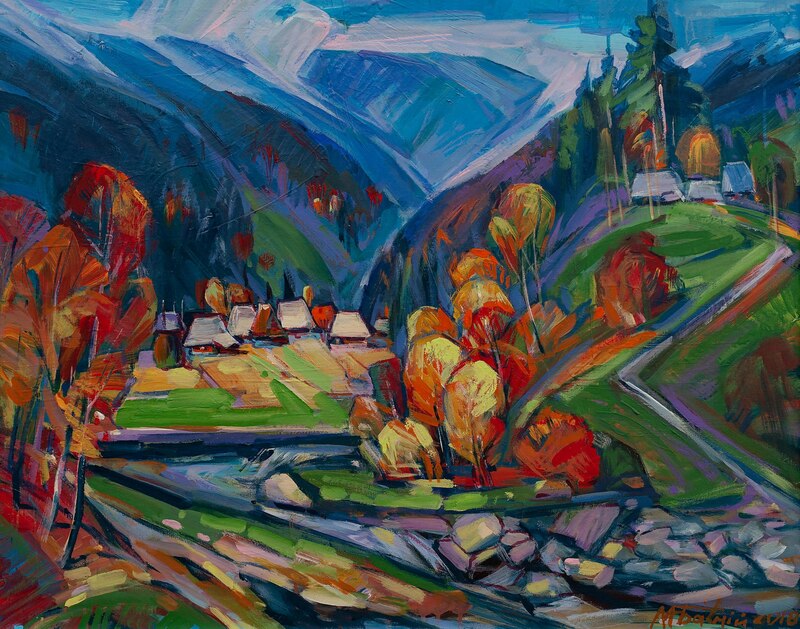 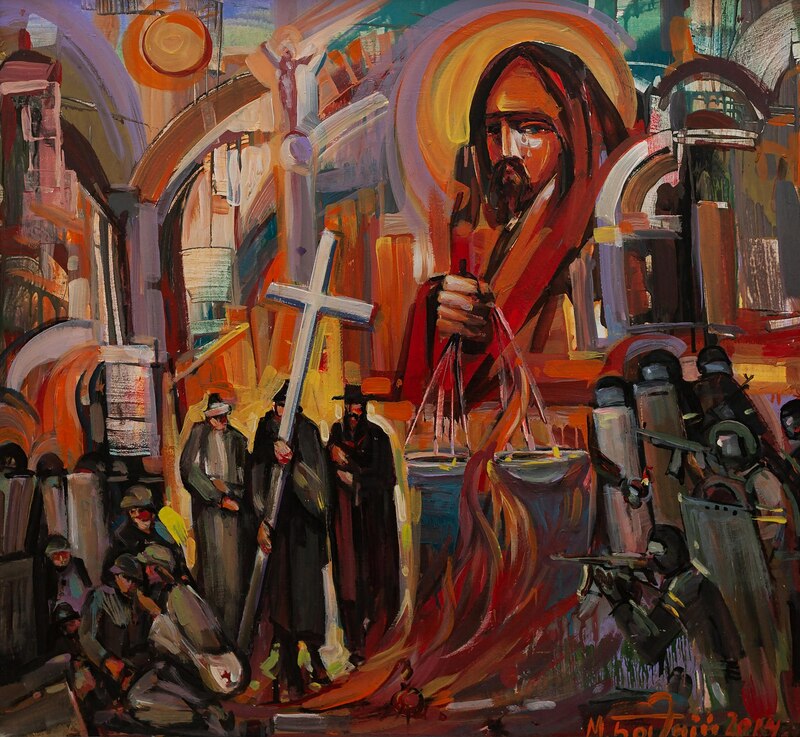 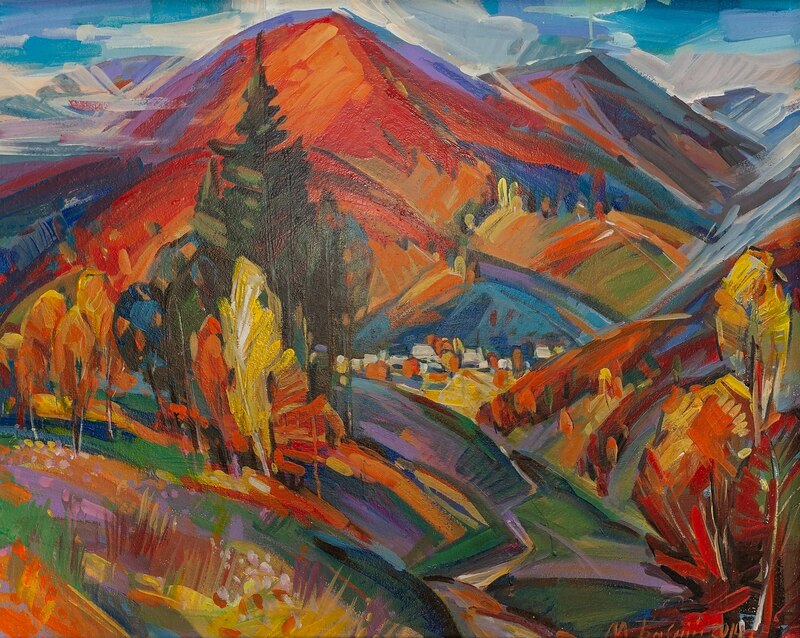 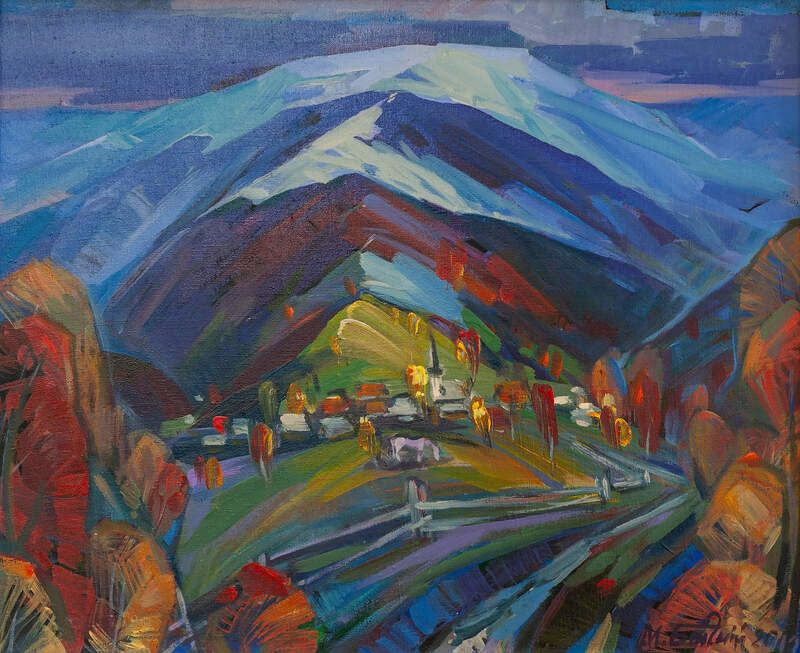 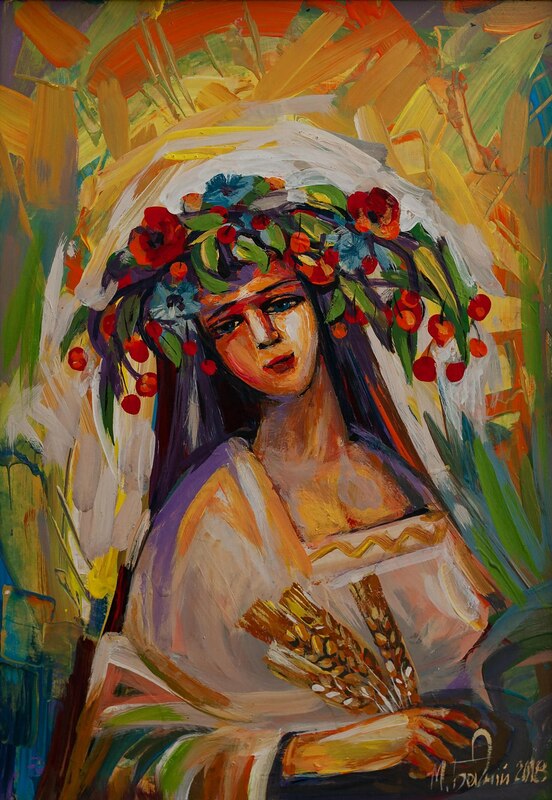 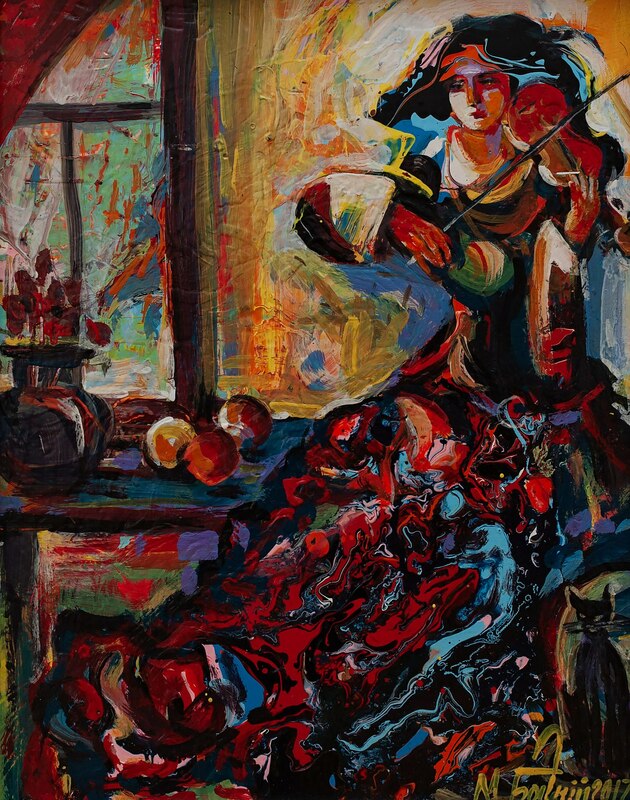 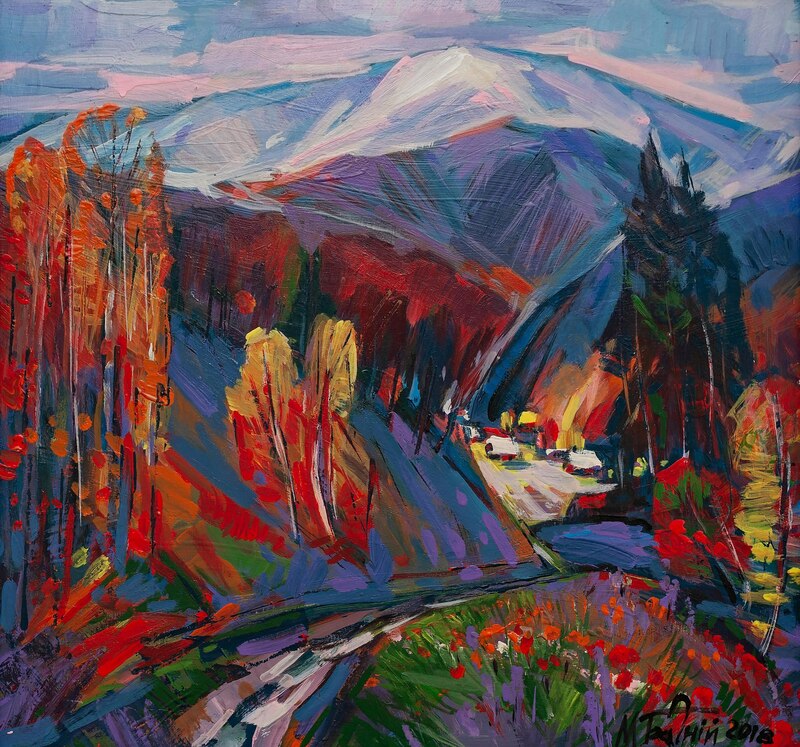 At the end of October, in the Khust City Art Gallery, it was opened a personal exhibition of paintings by a member of the creative association of artists and craftsmen “The Artist of Verkhovyna” Marian Bahnii. 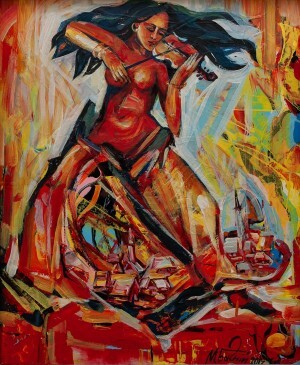 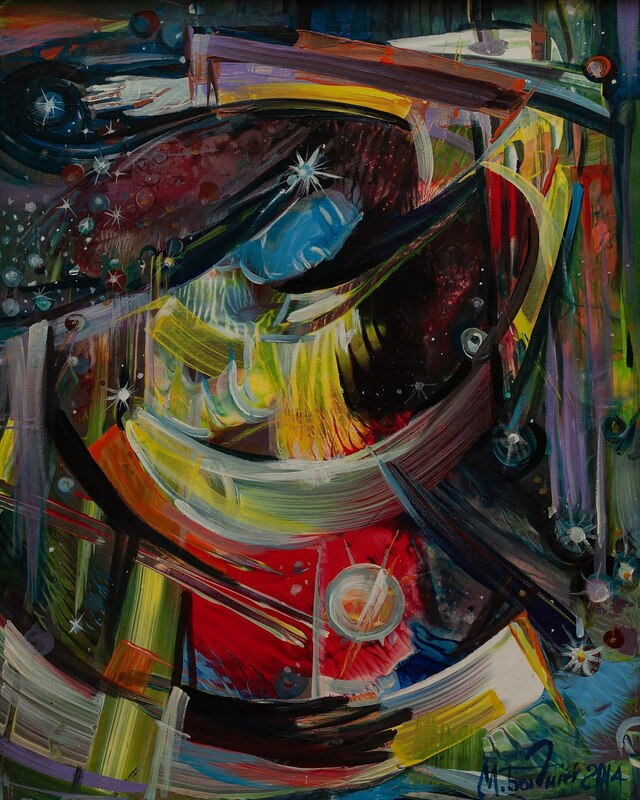 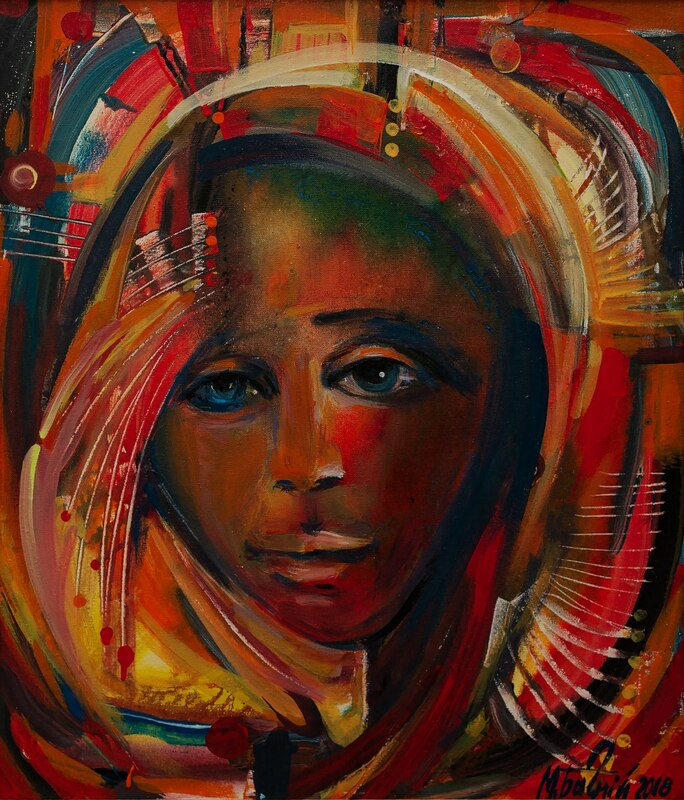 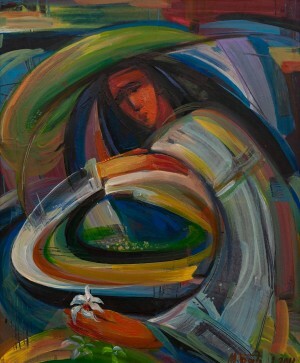 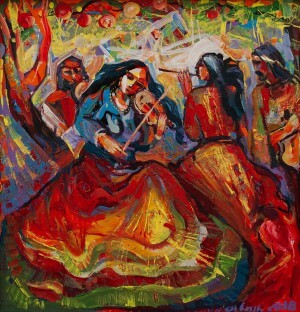 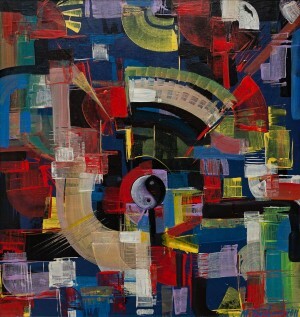 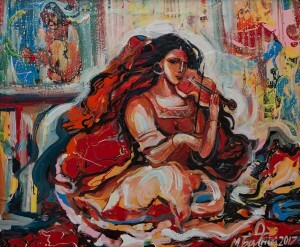 The exposition contains 95 canvases and is titled “Strings of my heart”. 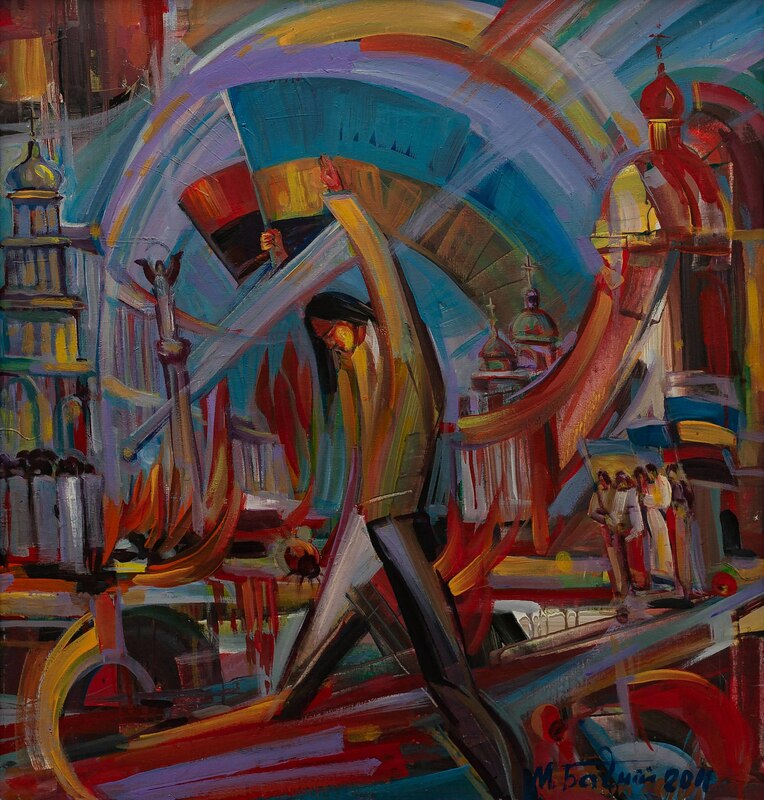 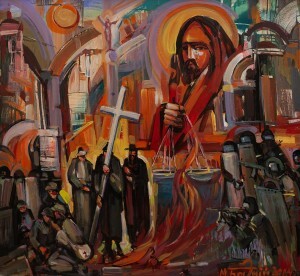 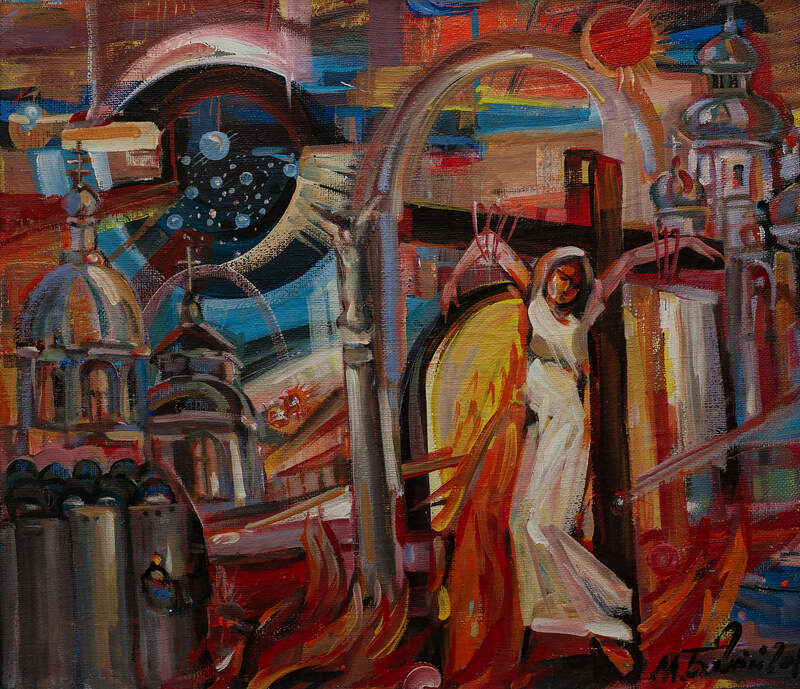 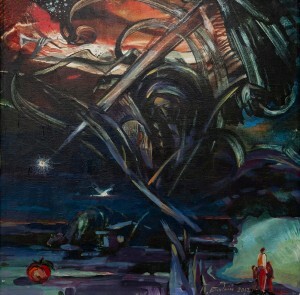 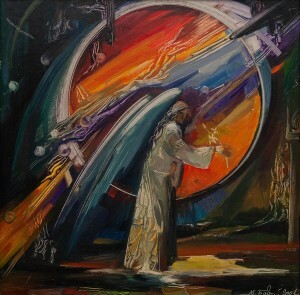 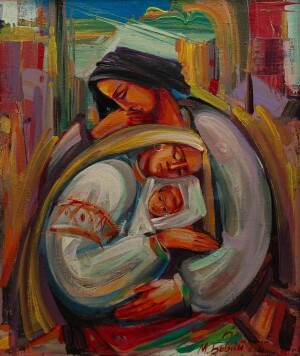 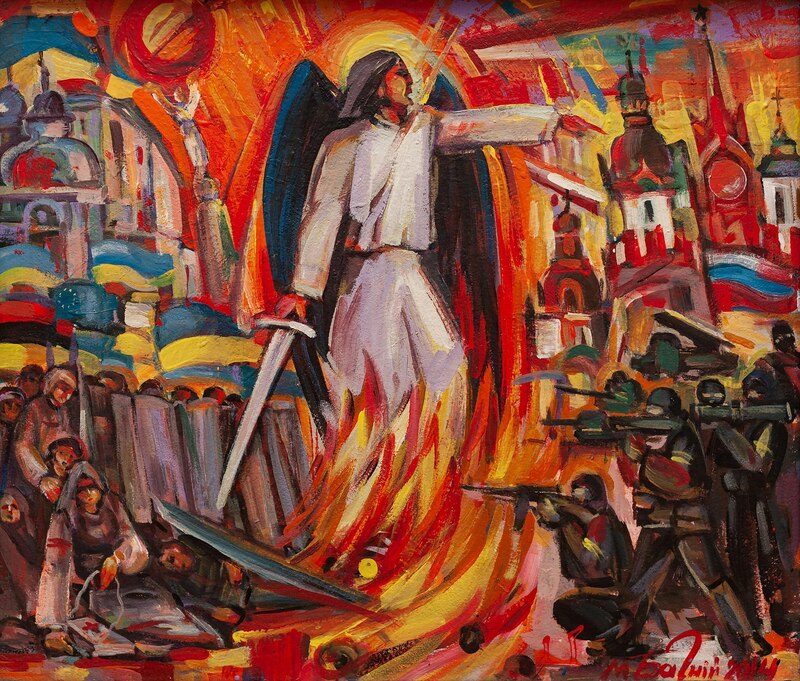 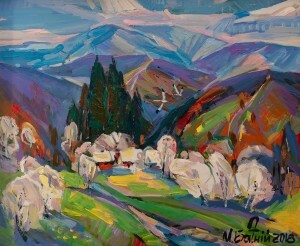 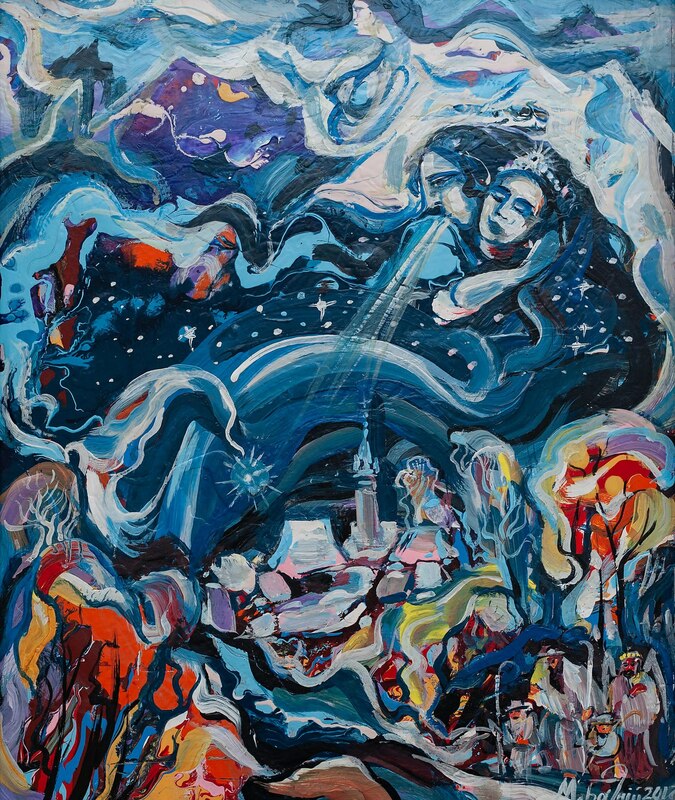 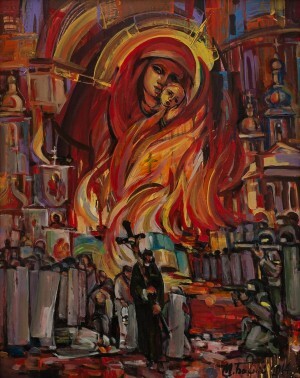 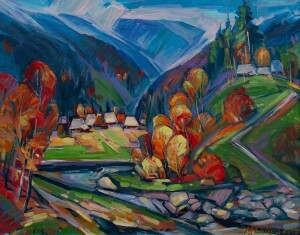 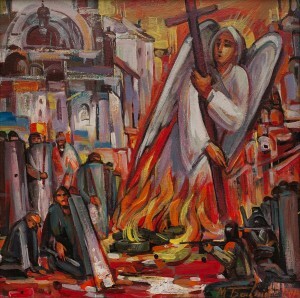 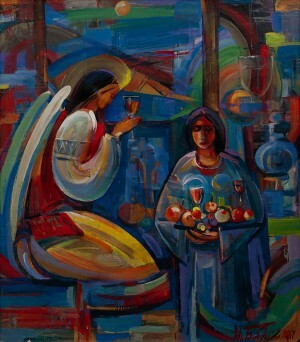 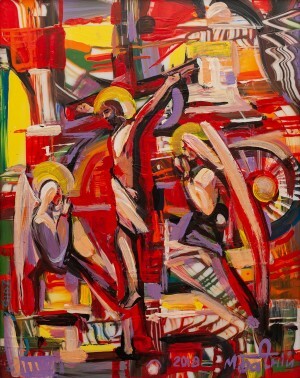 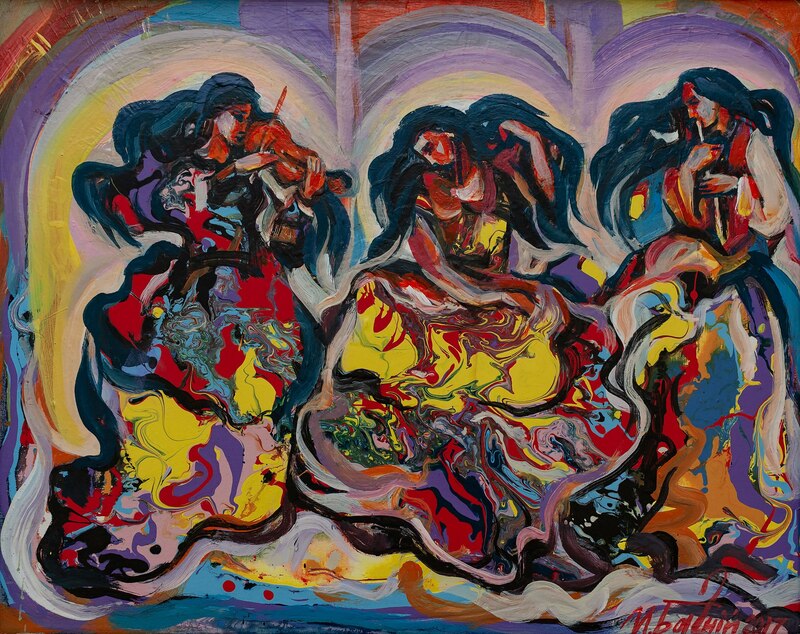 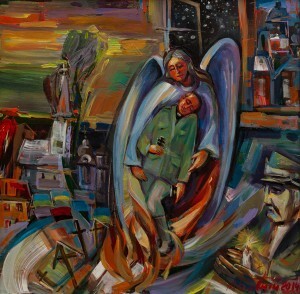 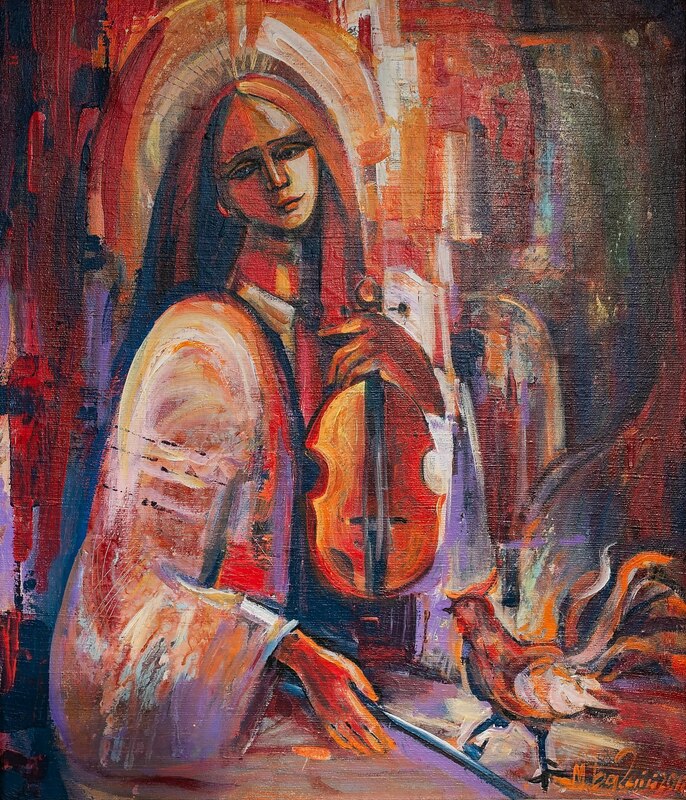 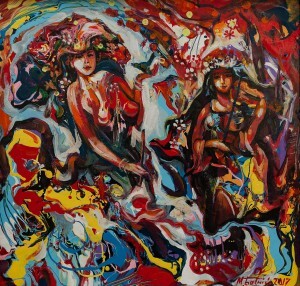 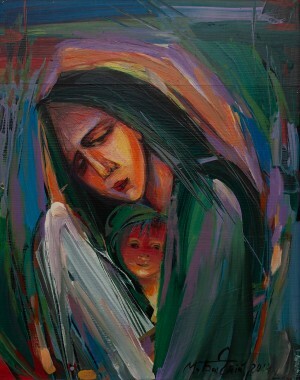 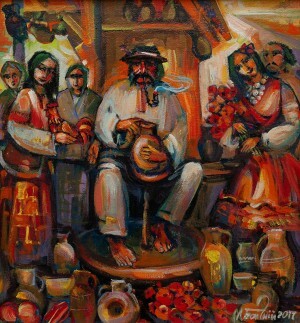 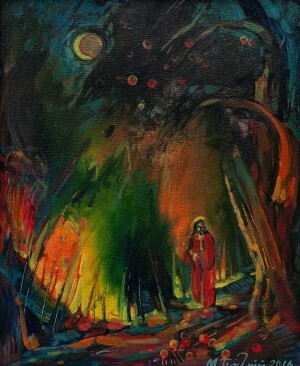 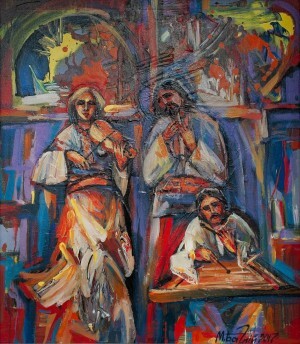 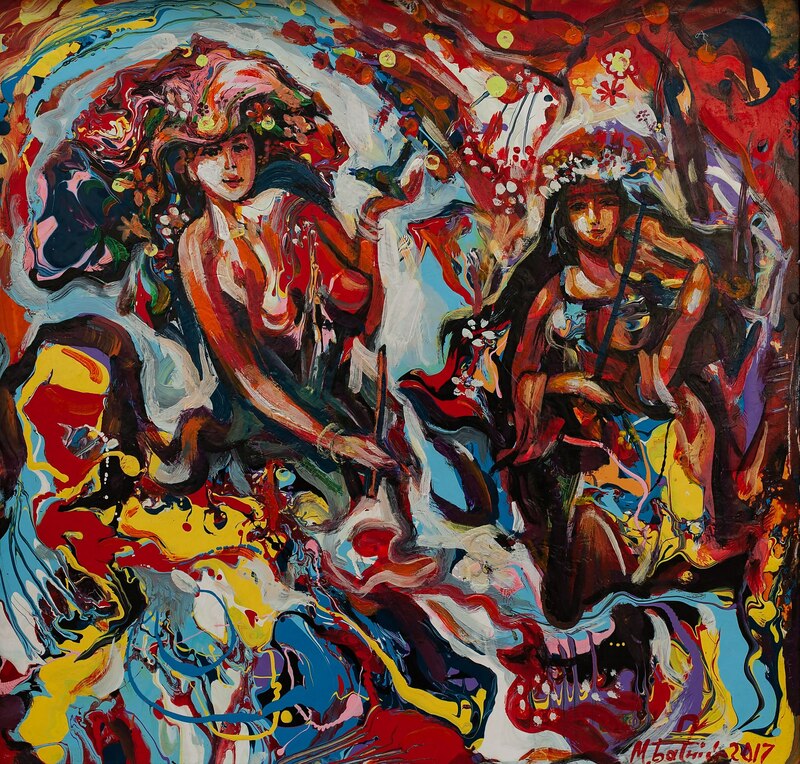 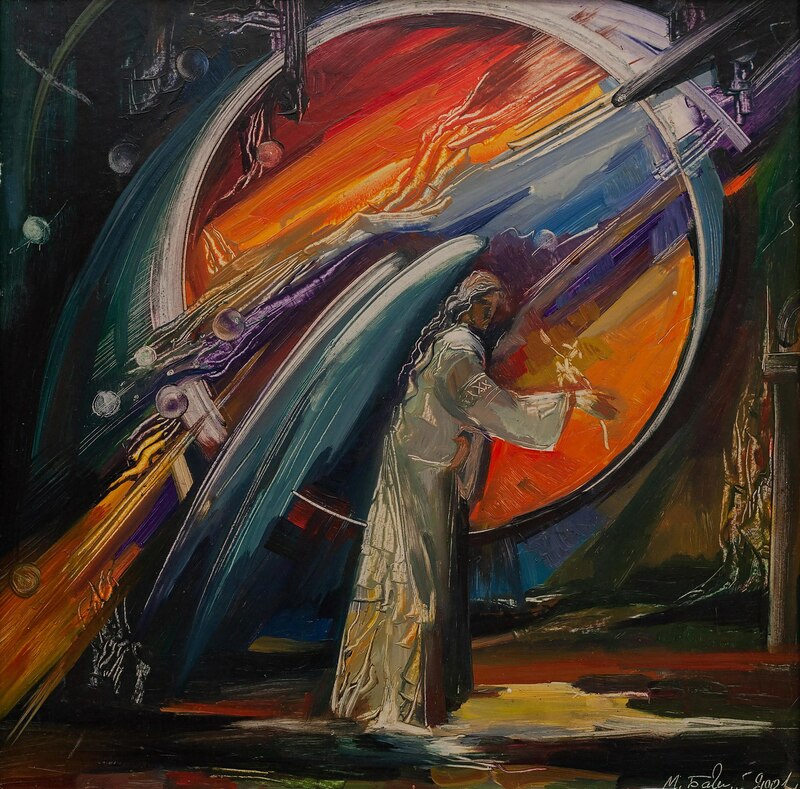 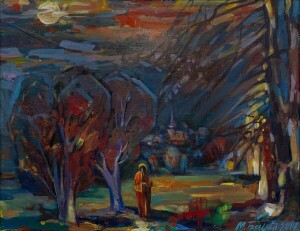 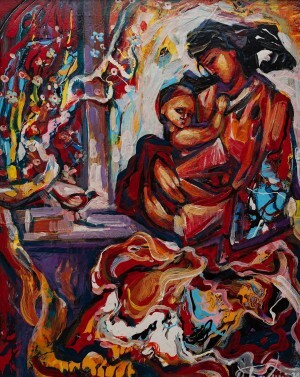 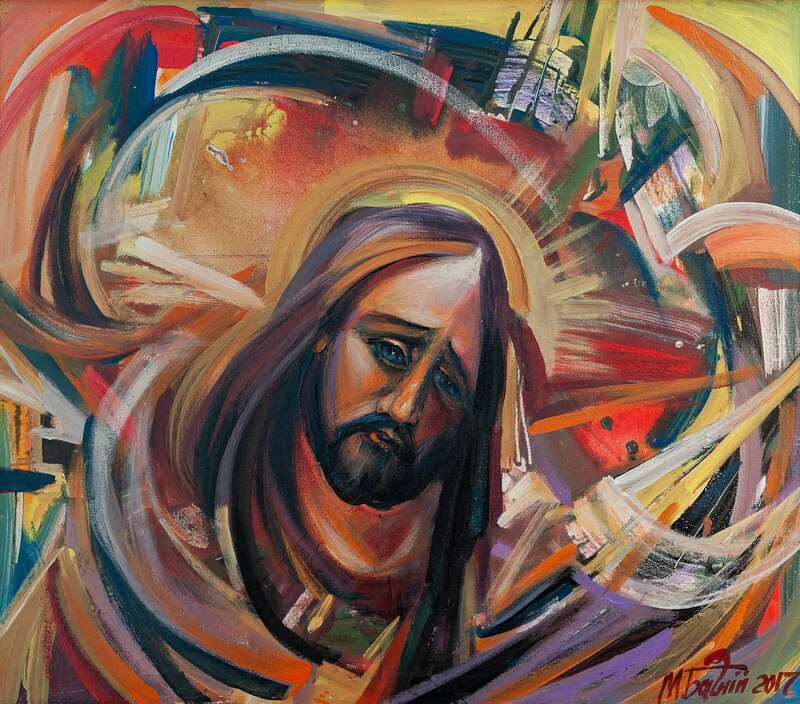 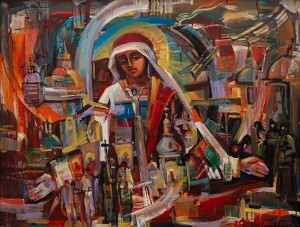 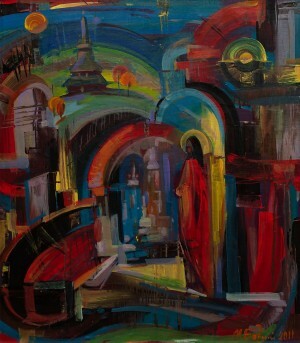 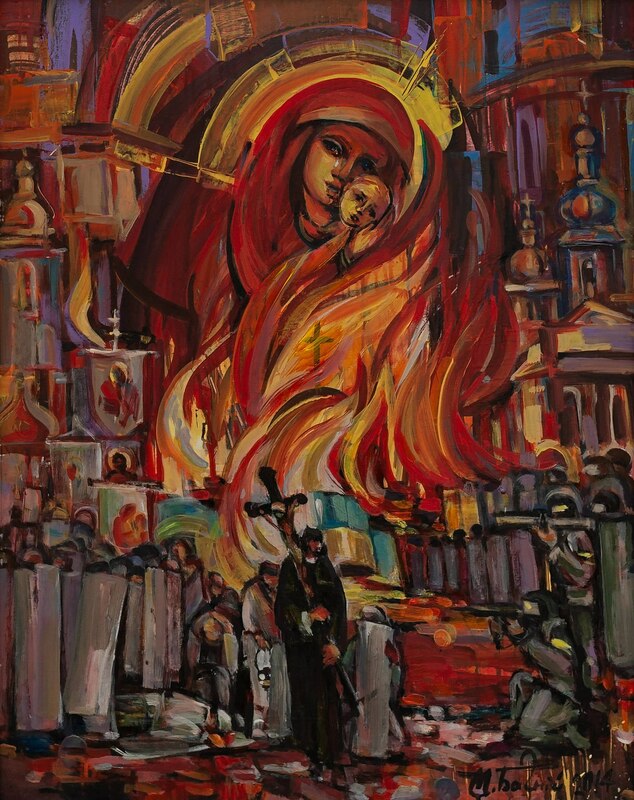 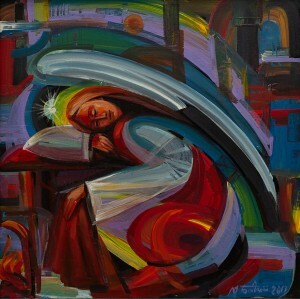 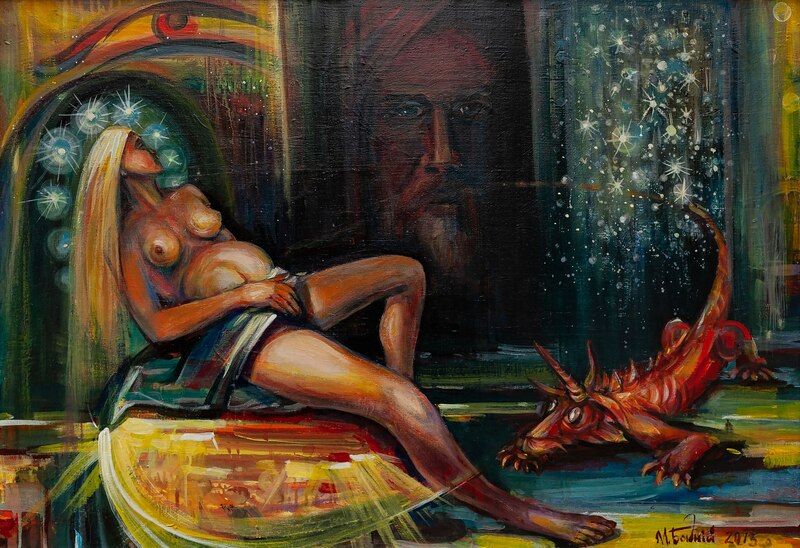 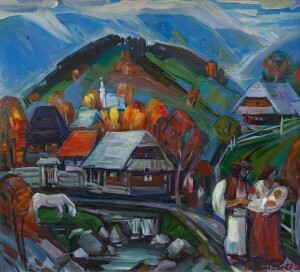 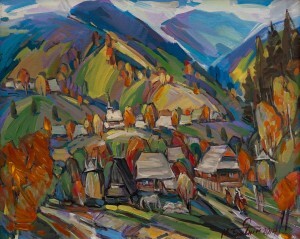 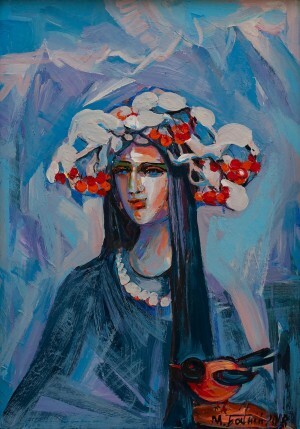 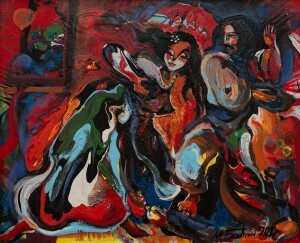 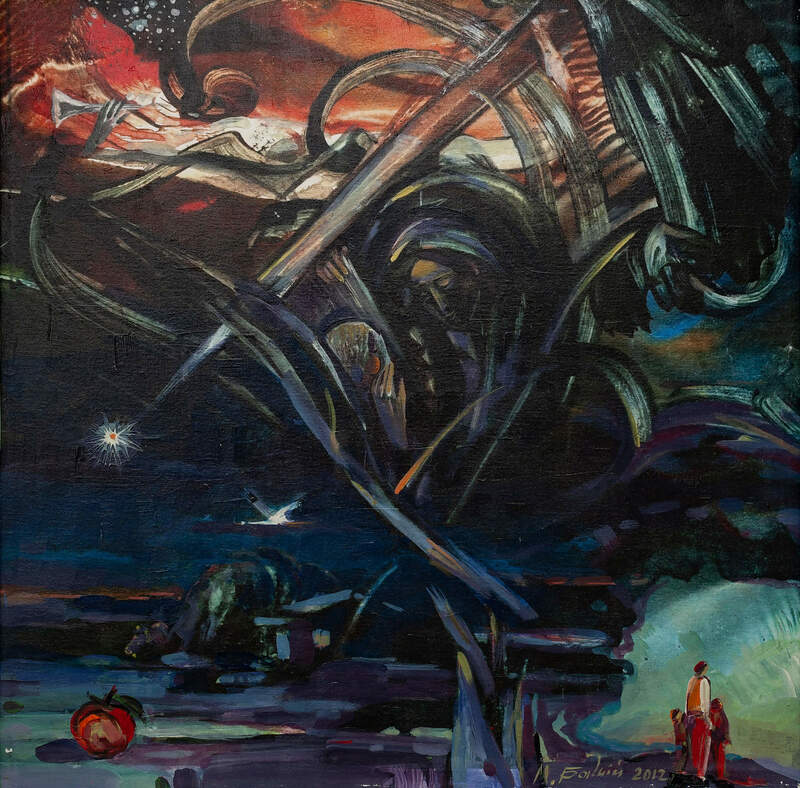 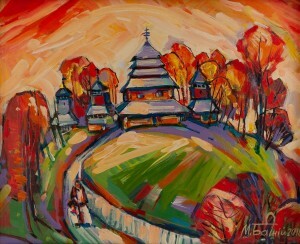 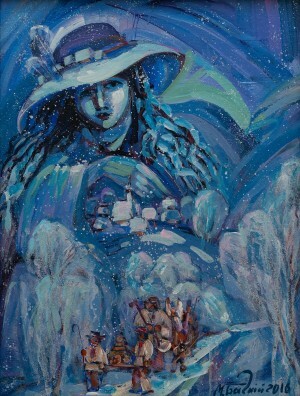 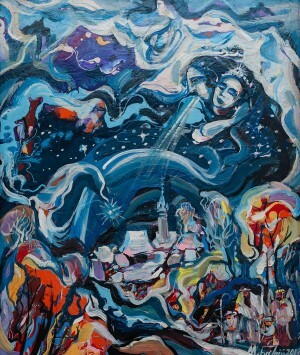 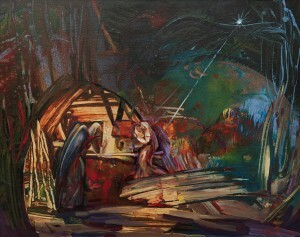 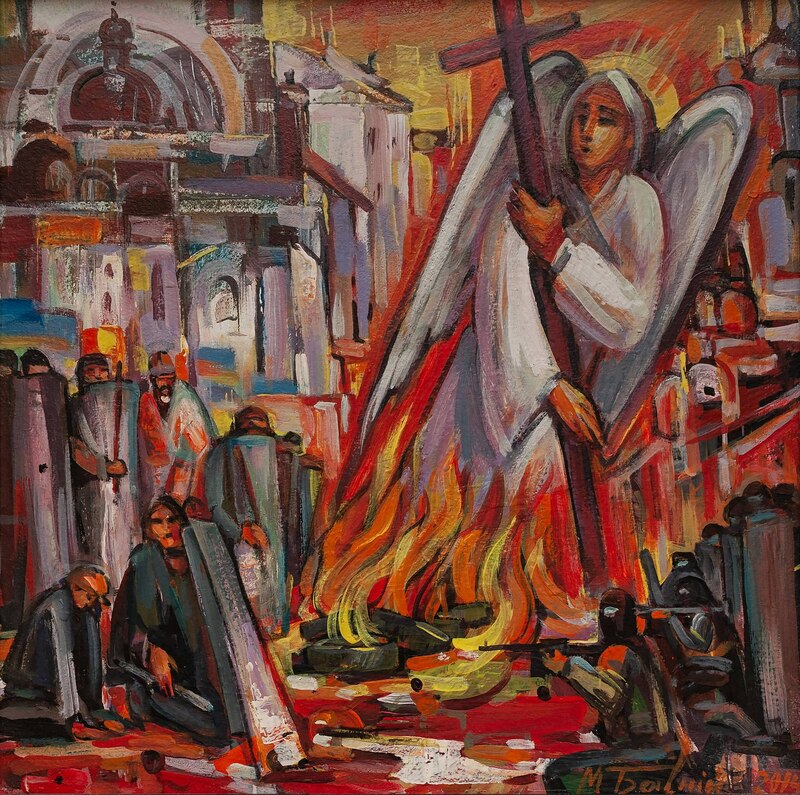 The artist was born in Strilbyshche village, Starosambirskyi district, Lviv region on 1 December 1947. 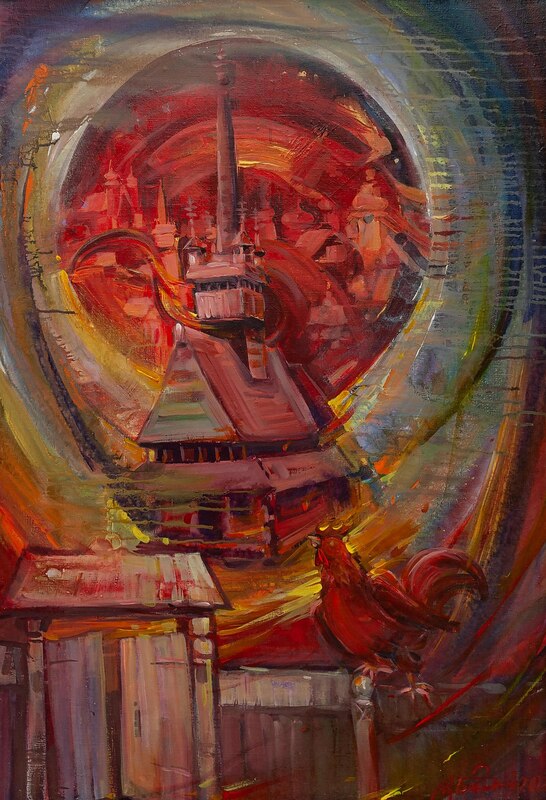 He graduated from the Stryj School, “Art forging” speciality, then studied in the Myrhorod Ceramic College. 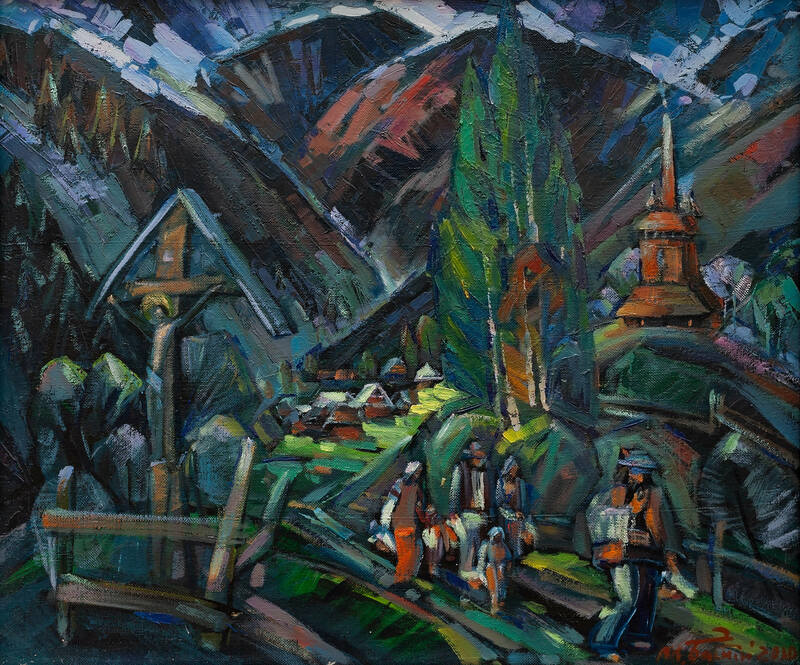 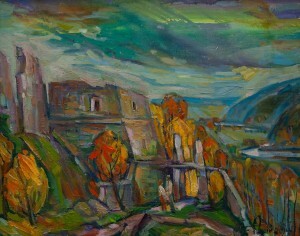 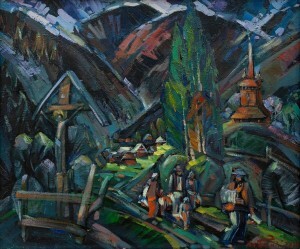 Upon graduation, a young artist was sent to work at the Khust Ceramic Factory. 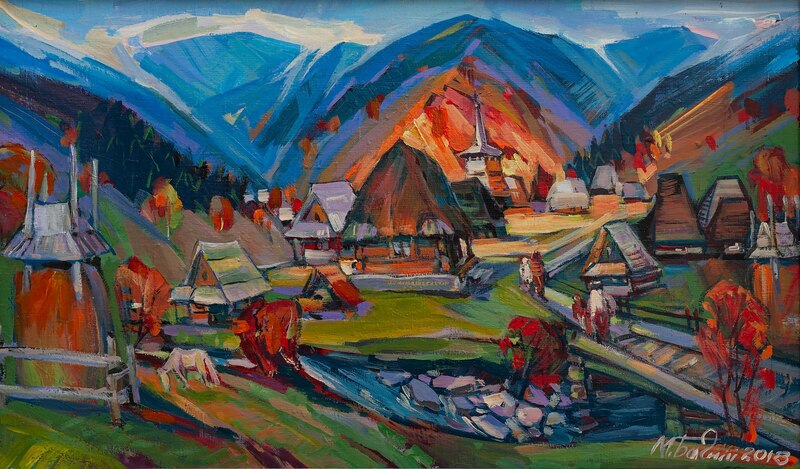 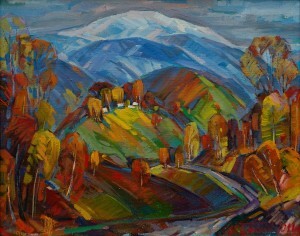 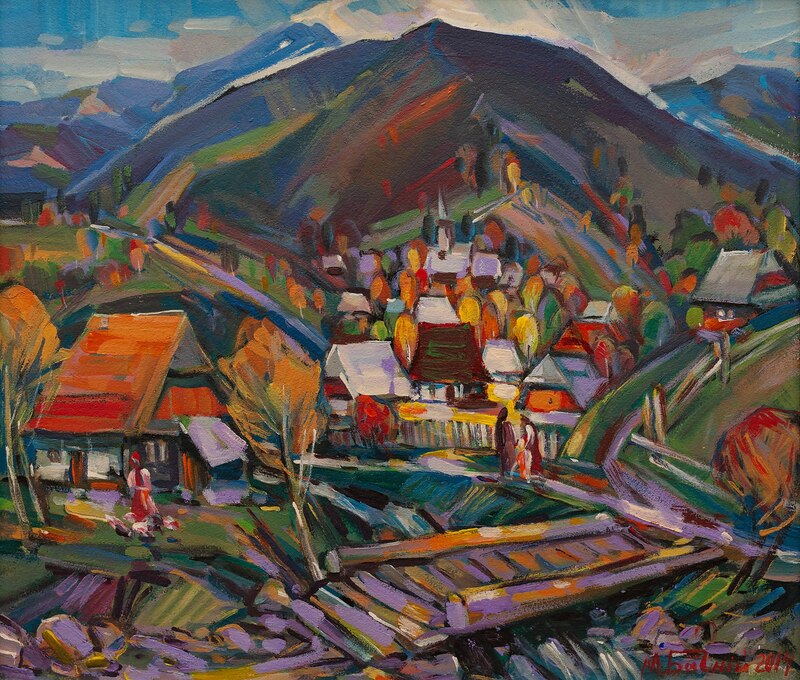 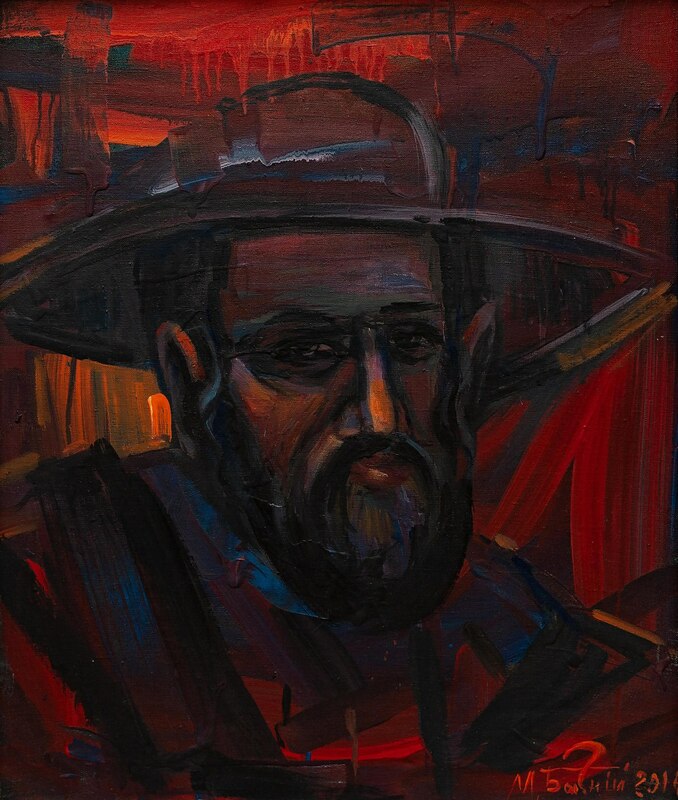 In Transcarpathia, he eventually not only remained to work for a long time but also to marry and live there. 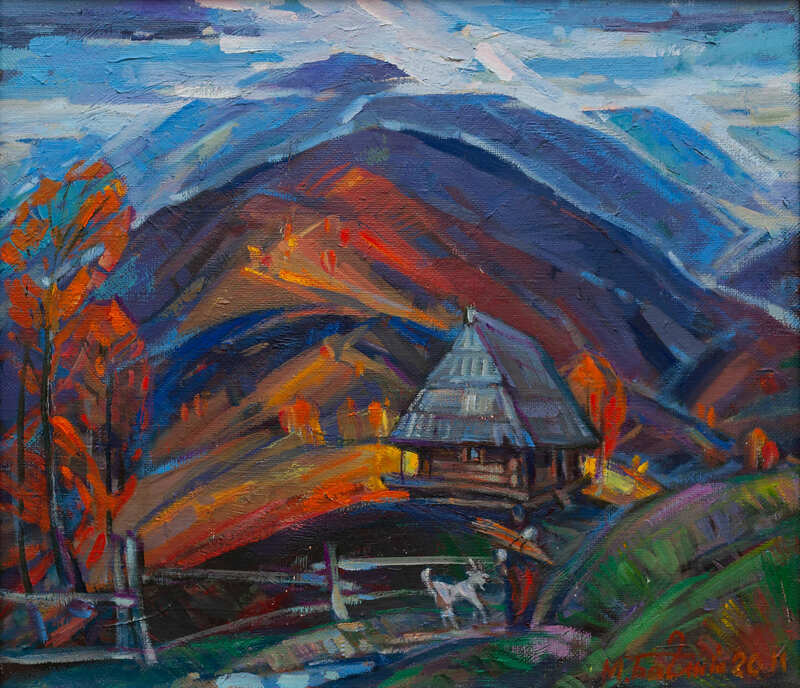 He worked at the factory for five years, then – at the Khust factory of artistic products, and since the period of Ukraine's become independence – a free artist. 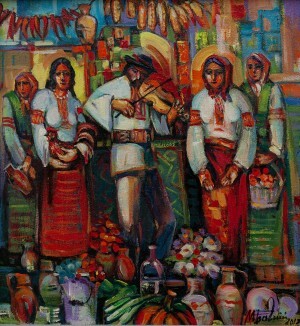 Participant in regional and foreign exhibitions. 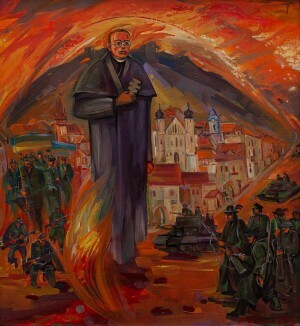 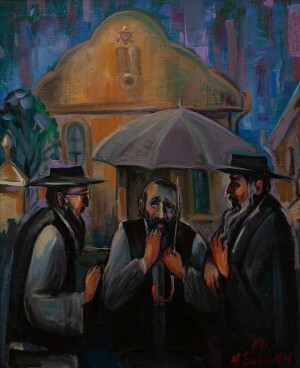 Marian Bahnii had two personal exhibitions in Lipani (Slovakia) and Buenos Aires (Argentina), as well in the Polish city Kriinica (two personal exhibitions). 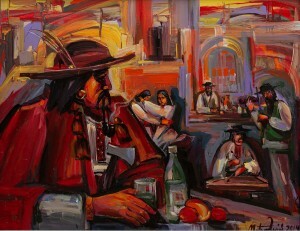 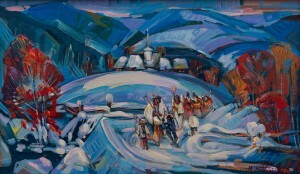 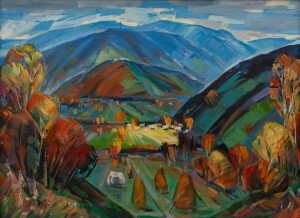 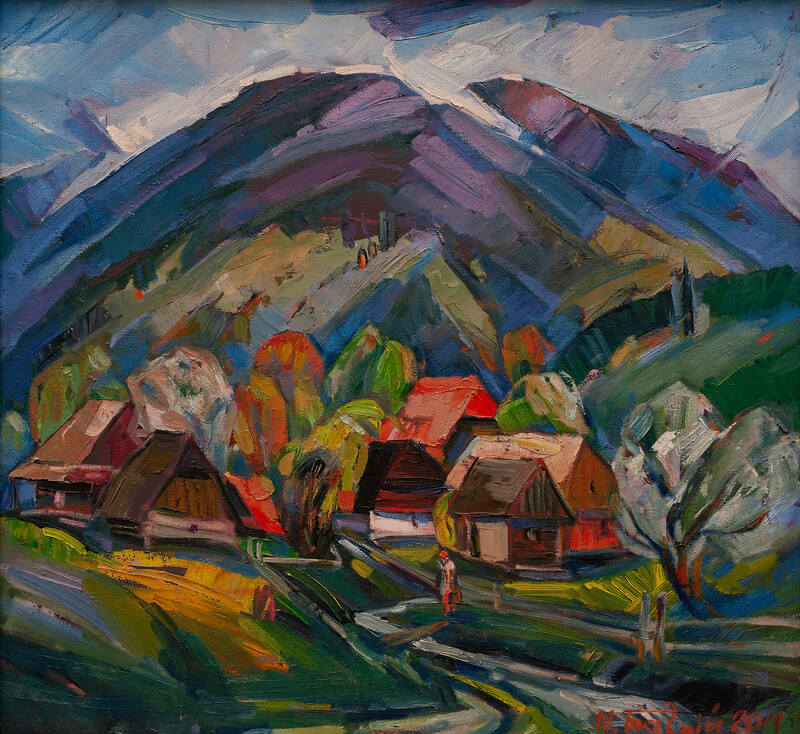 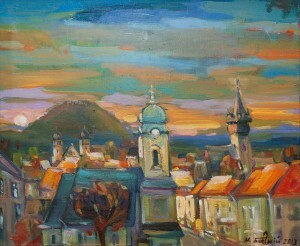 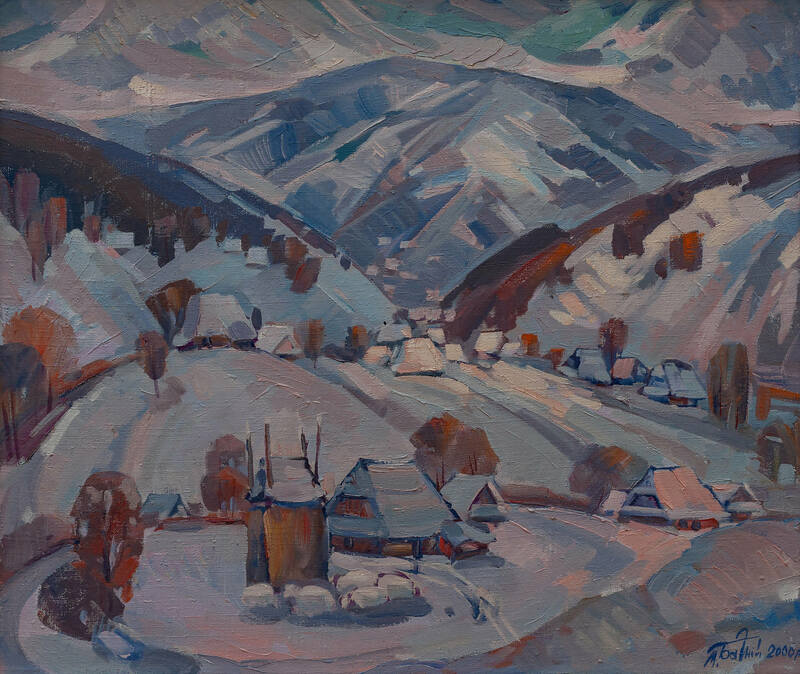 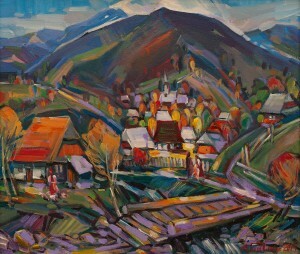 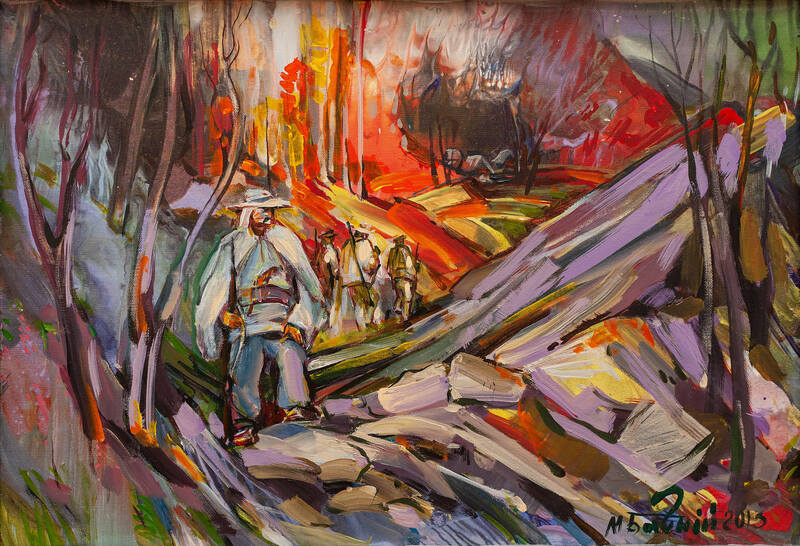 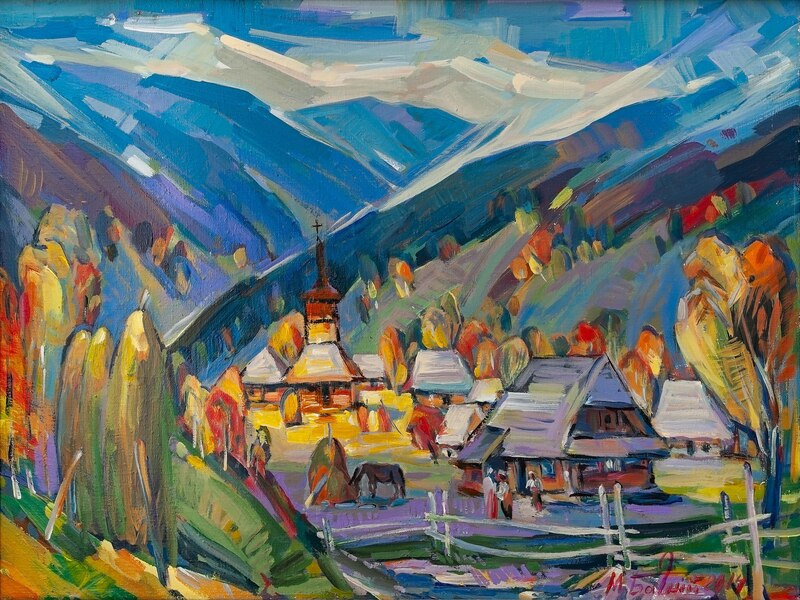 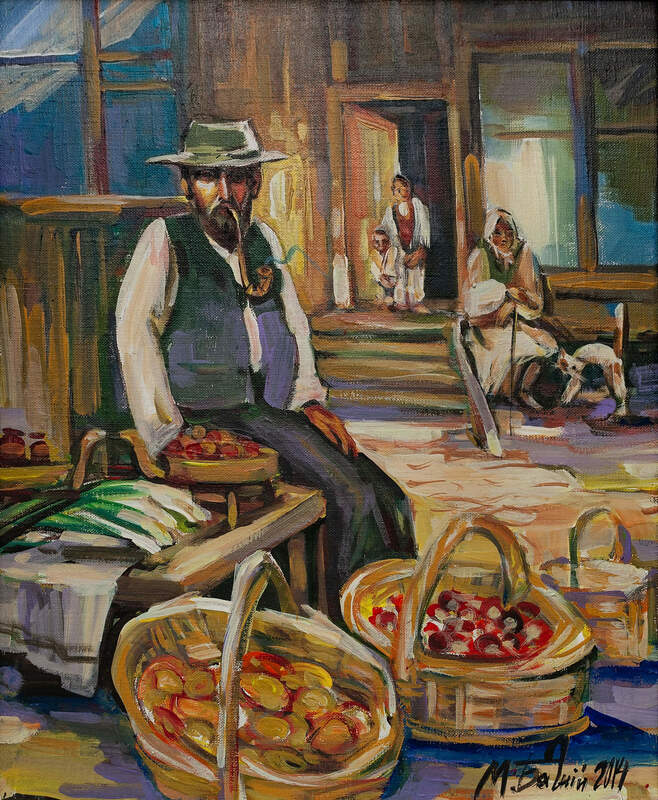 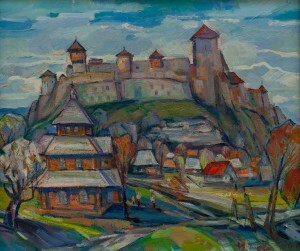 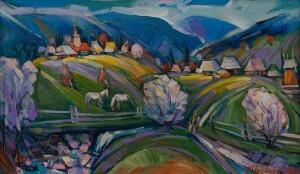 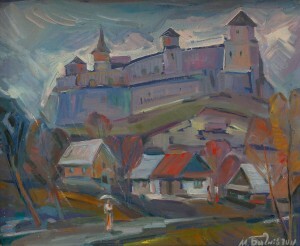 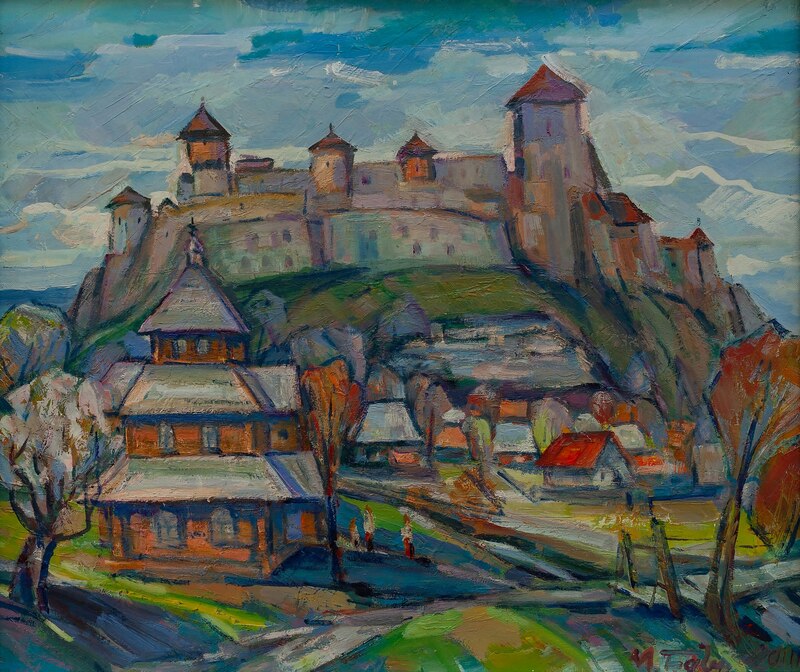 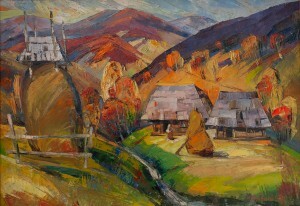 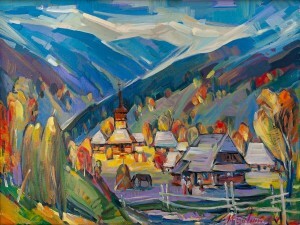 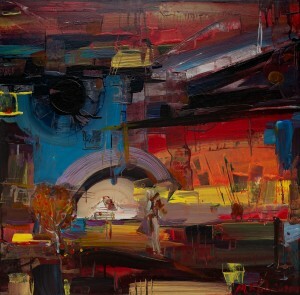 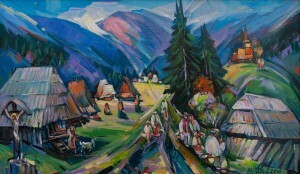 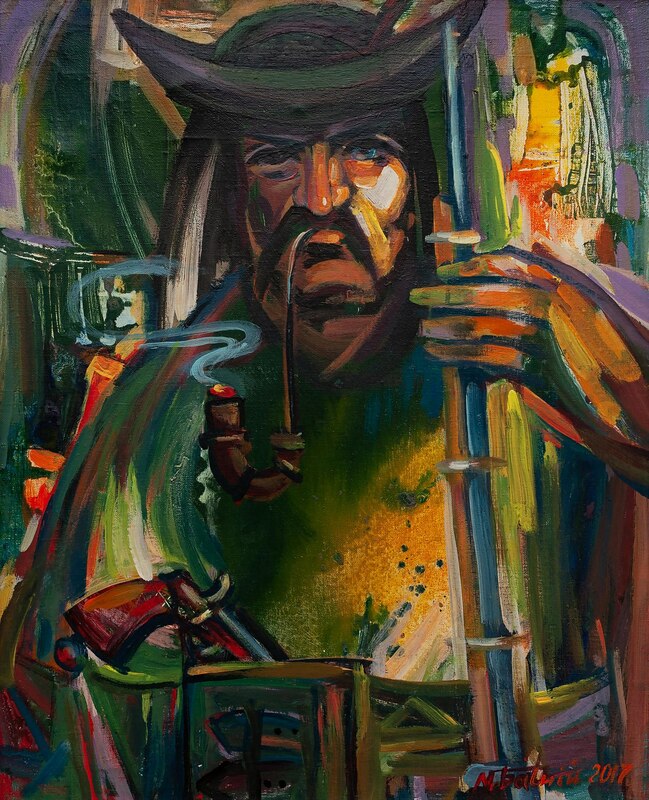 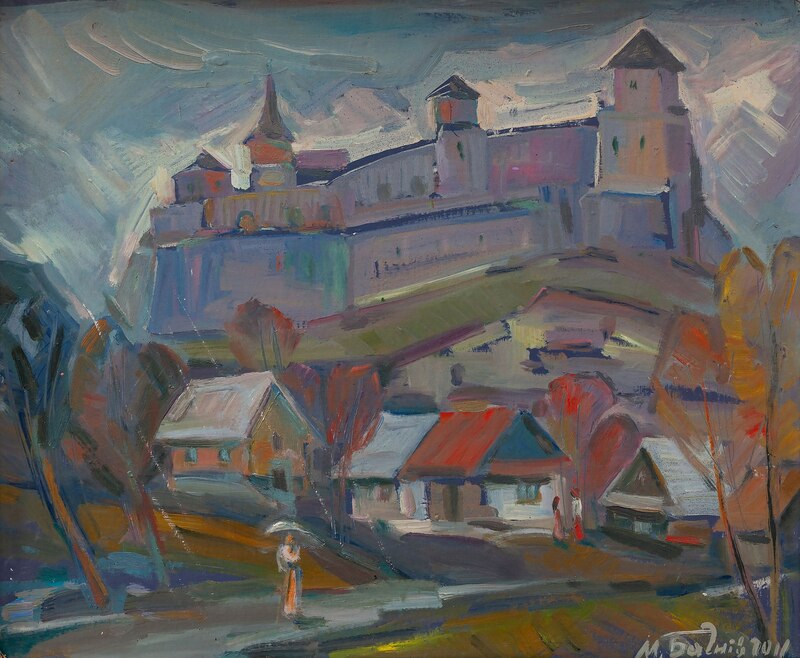 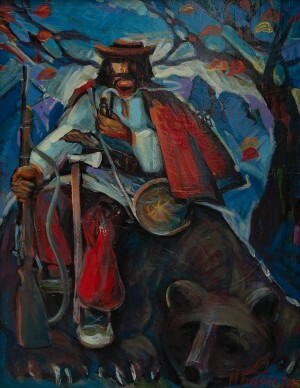 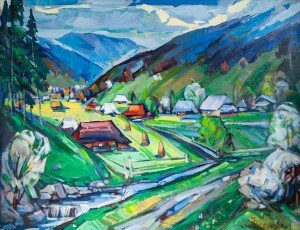 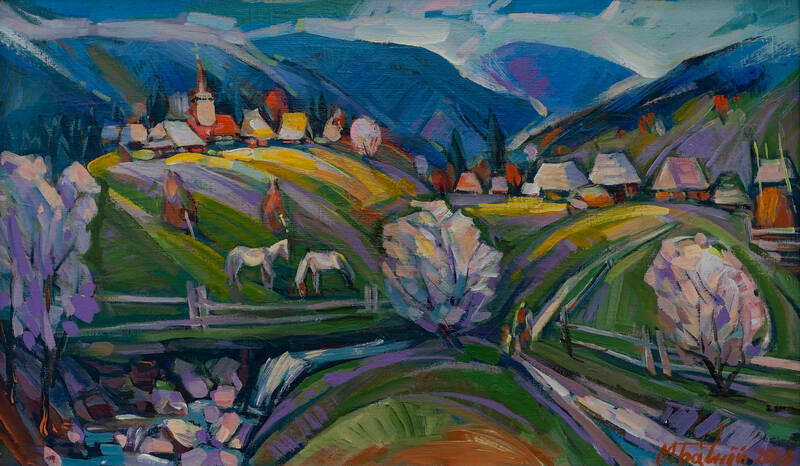 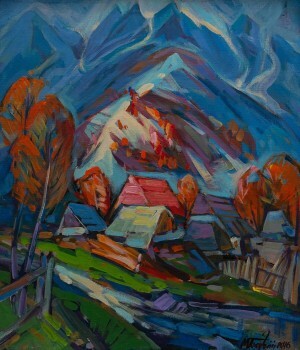 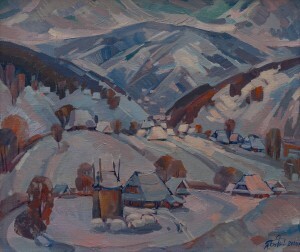 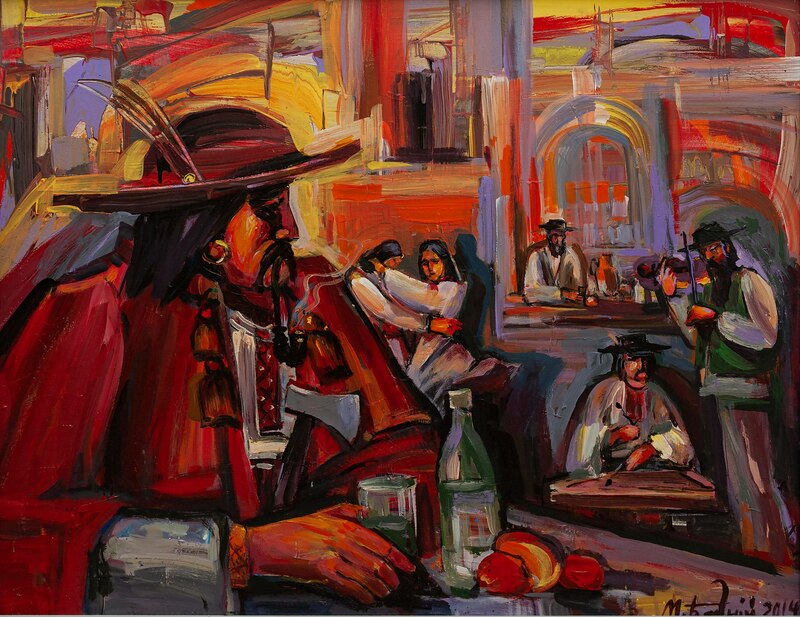 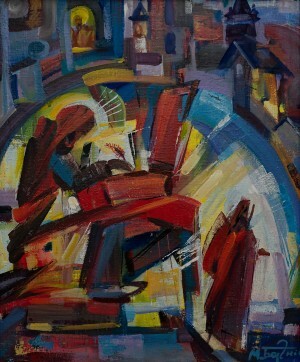 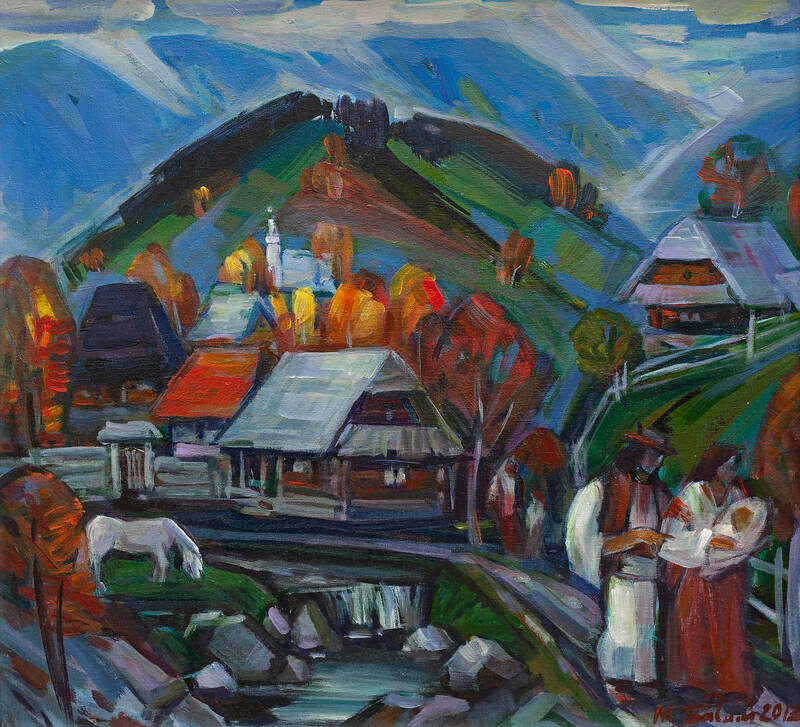 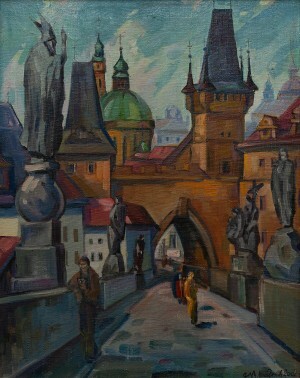 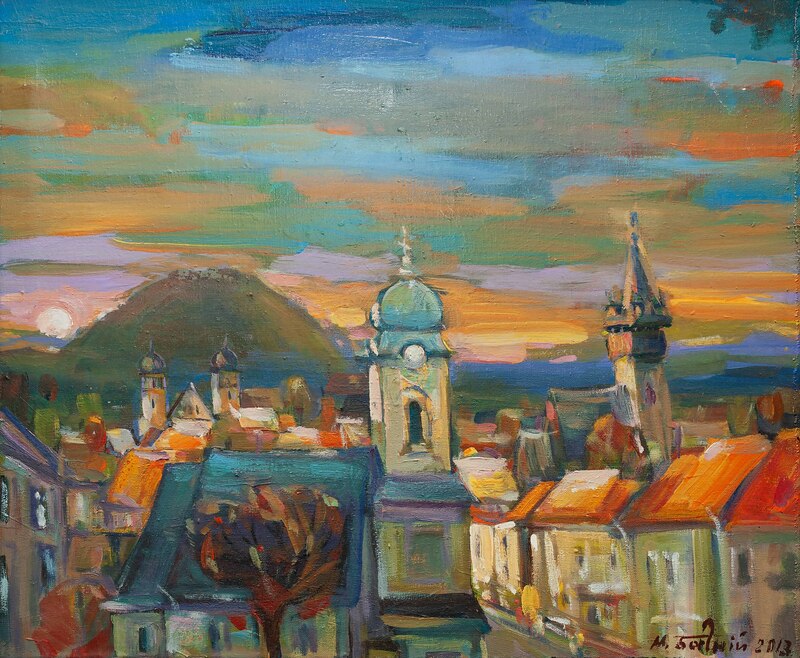 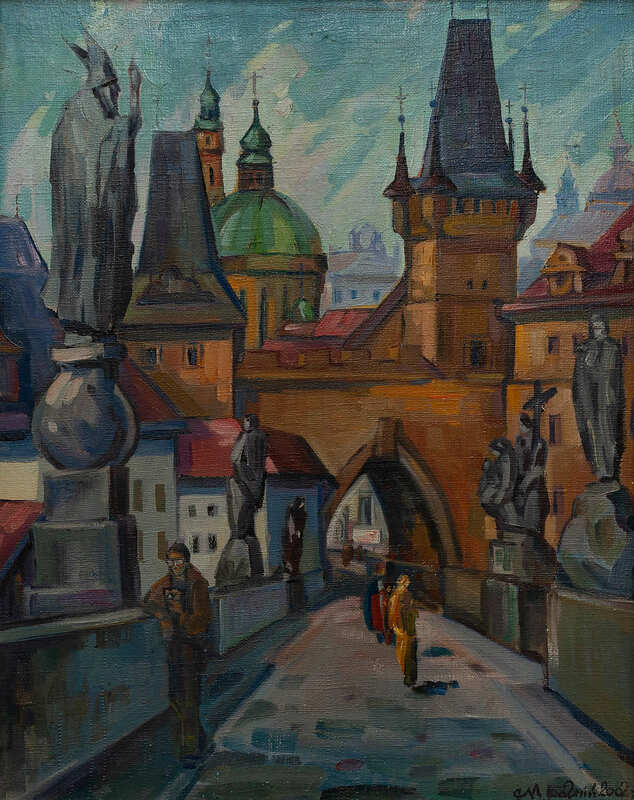 He actively worked at plein airs in Hungary, Slovakia, and Poland. 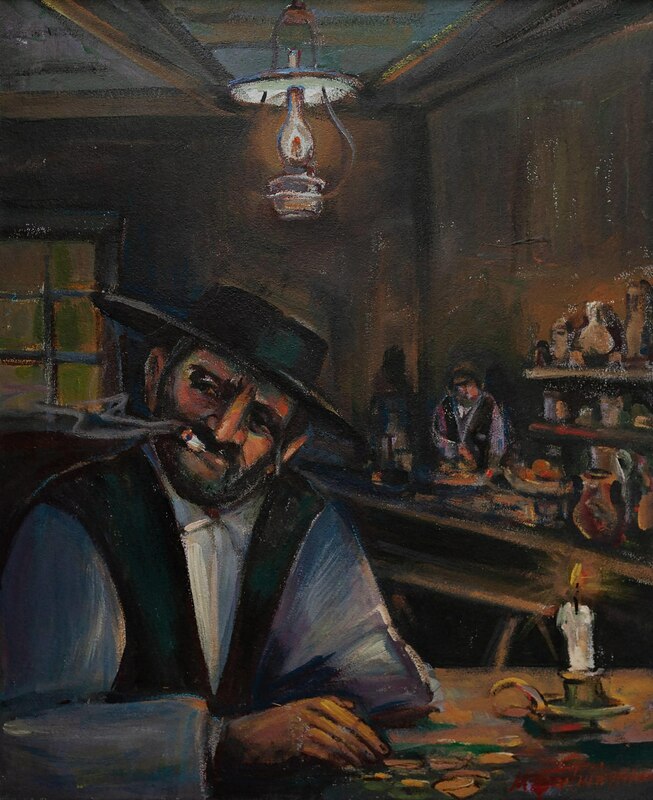 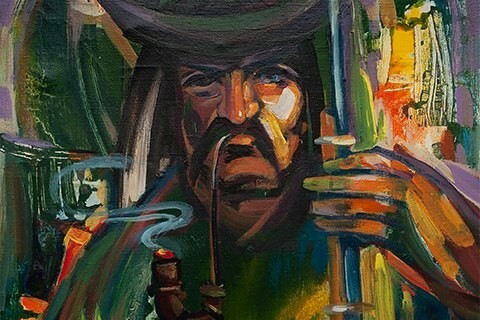 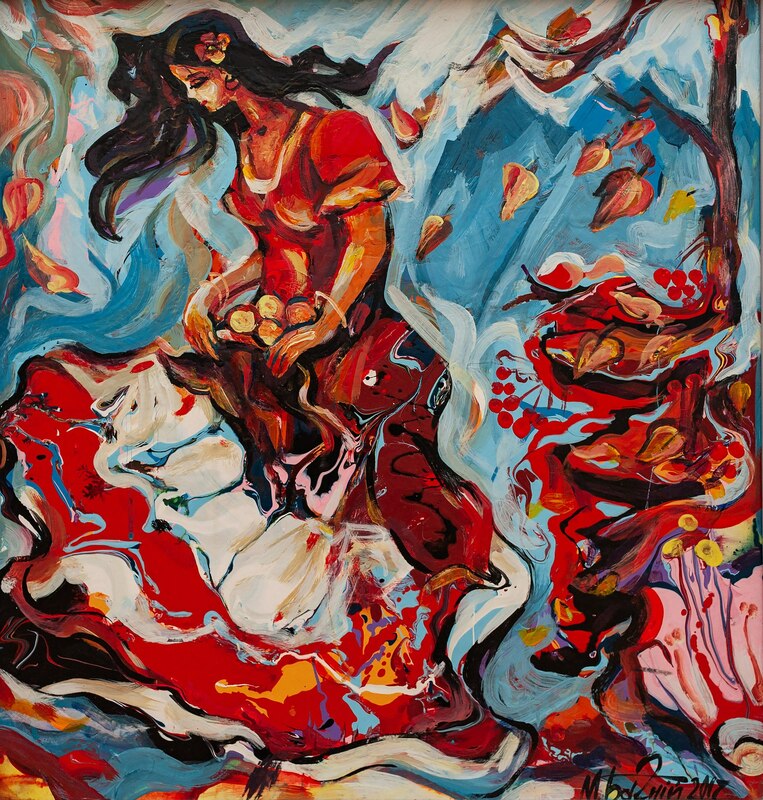 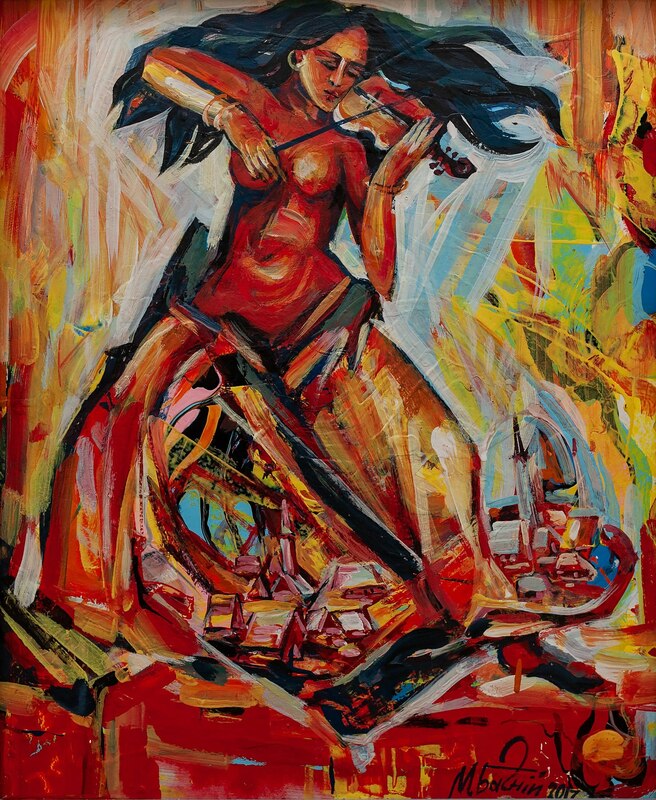 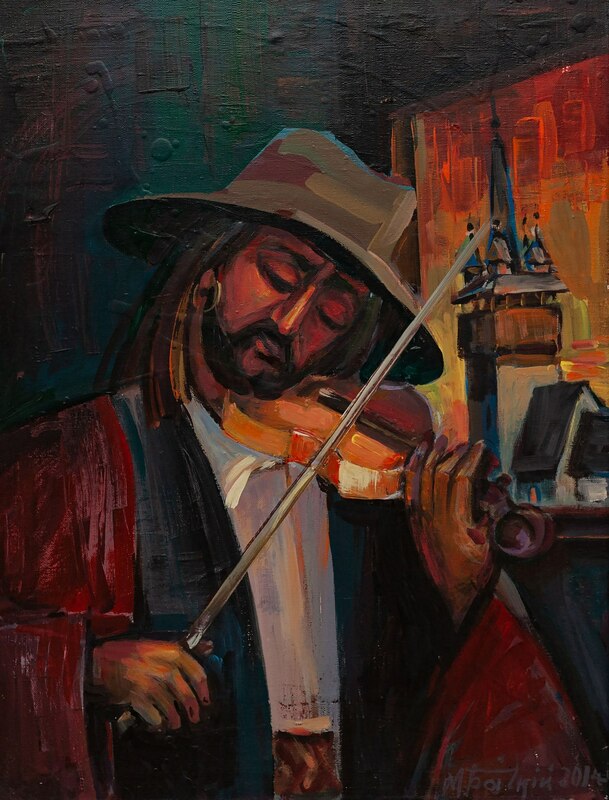 The artist works in different techniques, but prefers oil and acrylics. 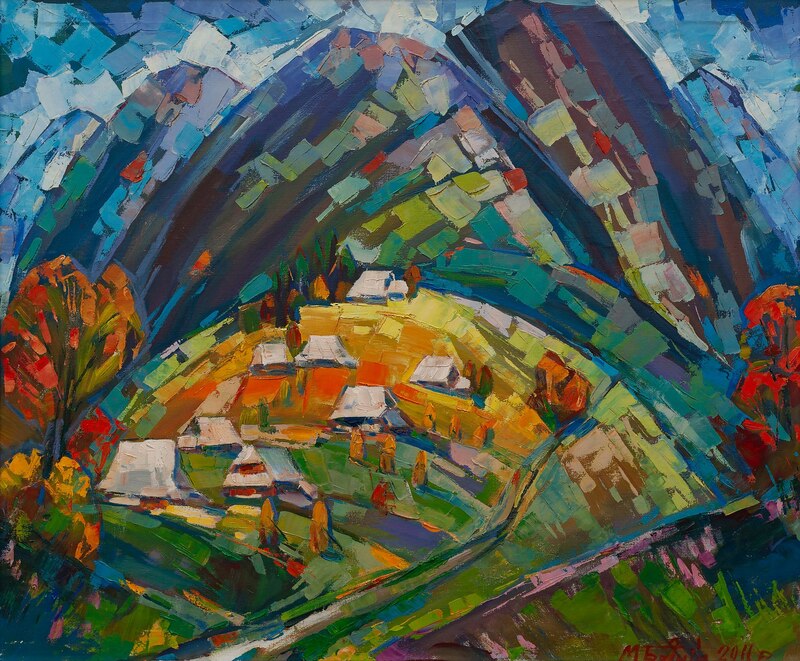 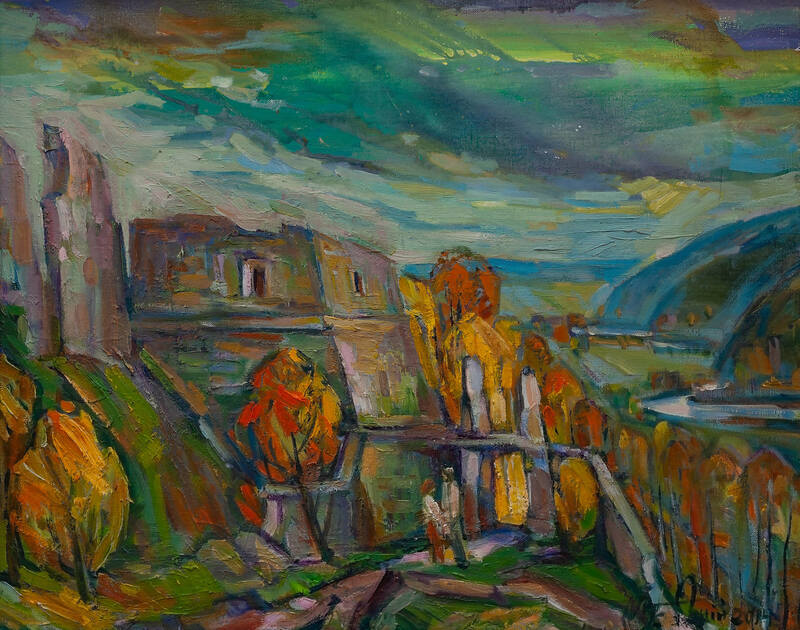 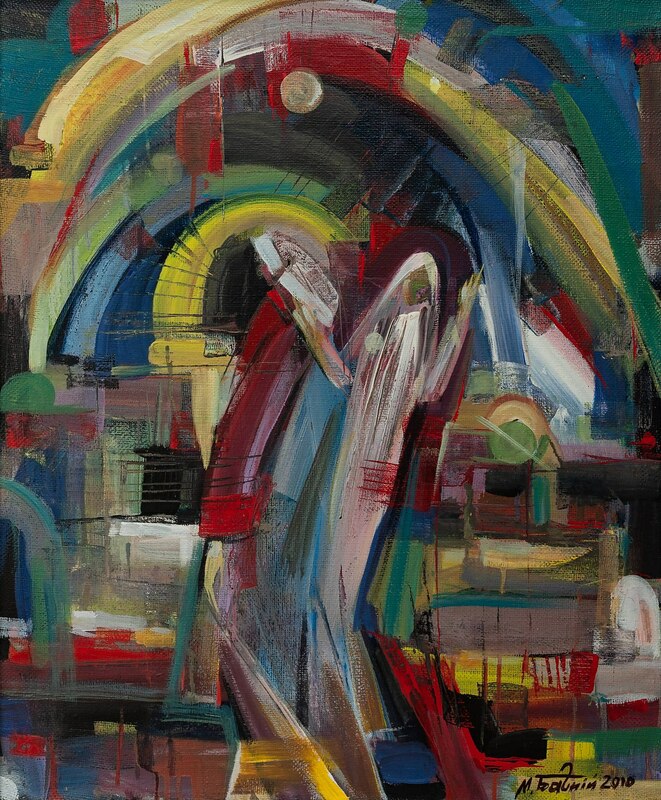 The genres of the artist's creativity are mostly landscapes, urban and rural landscapes, depicting beautiful architectural ensembles on his canvases. 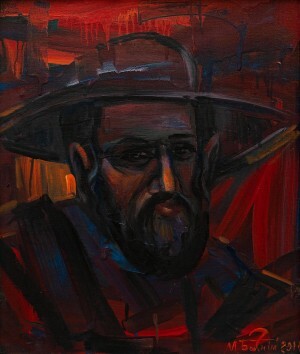 His creative and deep philosophical works “Blessed Messenger”, “All Roads Leading Home”, “Loss”, and others. 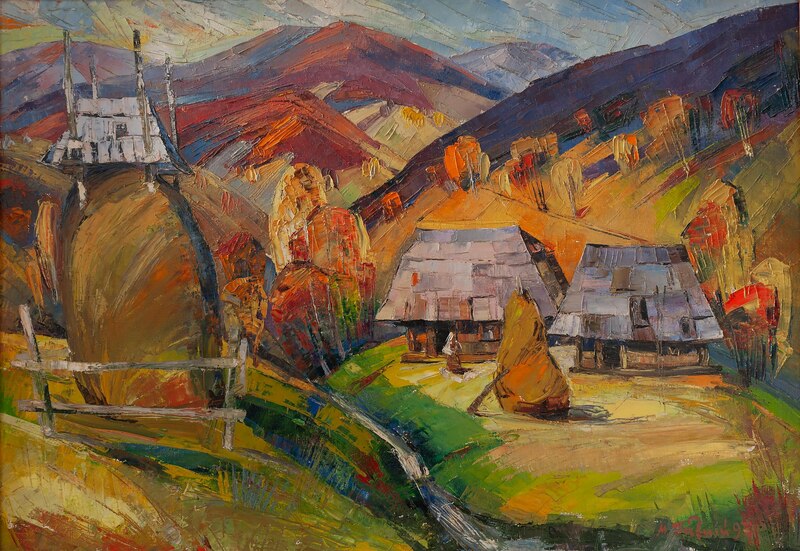 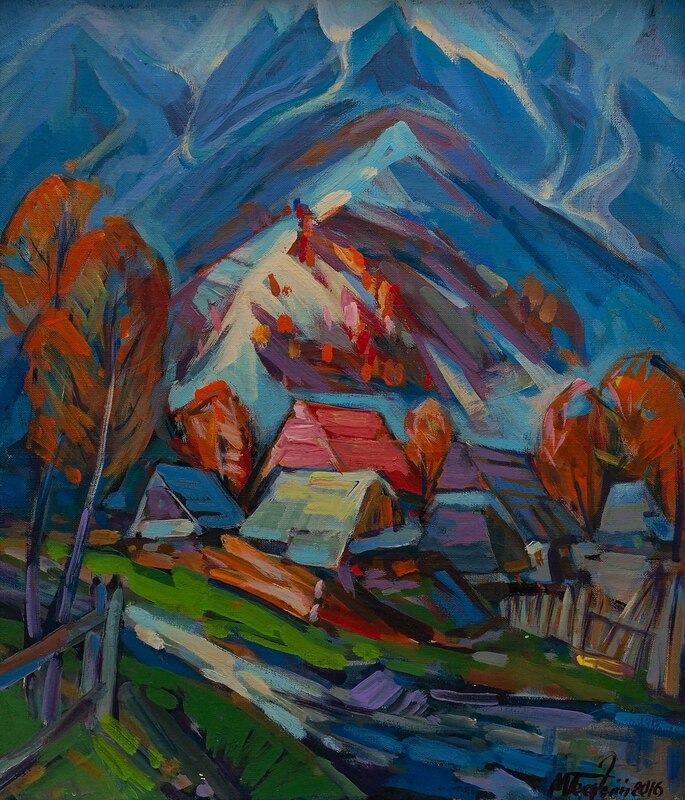 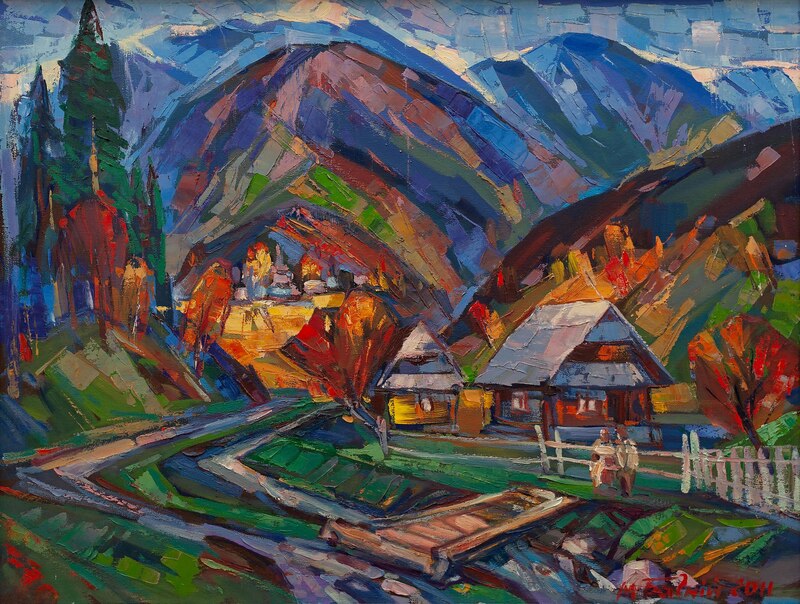 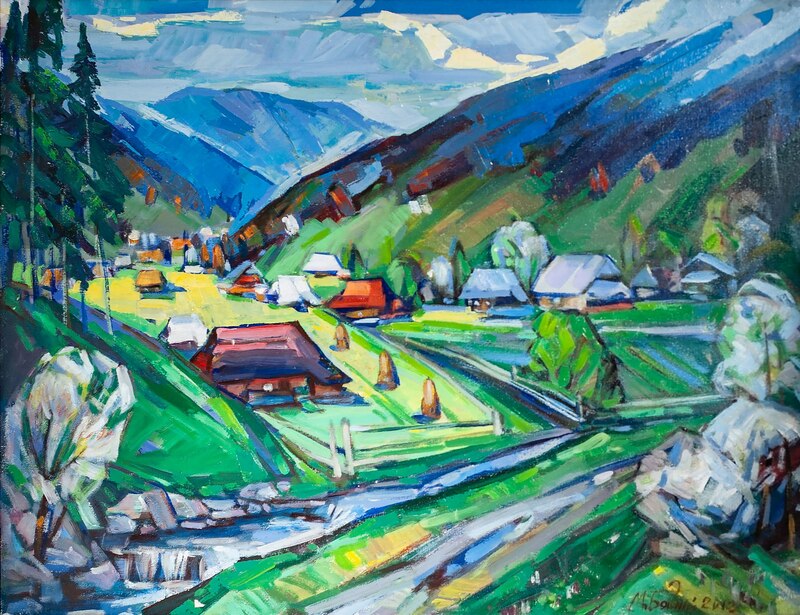 In the personal exhibition presented at the Khust Art Gallery presented are the works performed over the past fifteen or seventeen years prevail. 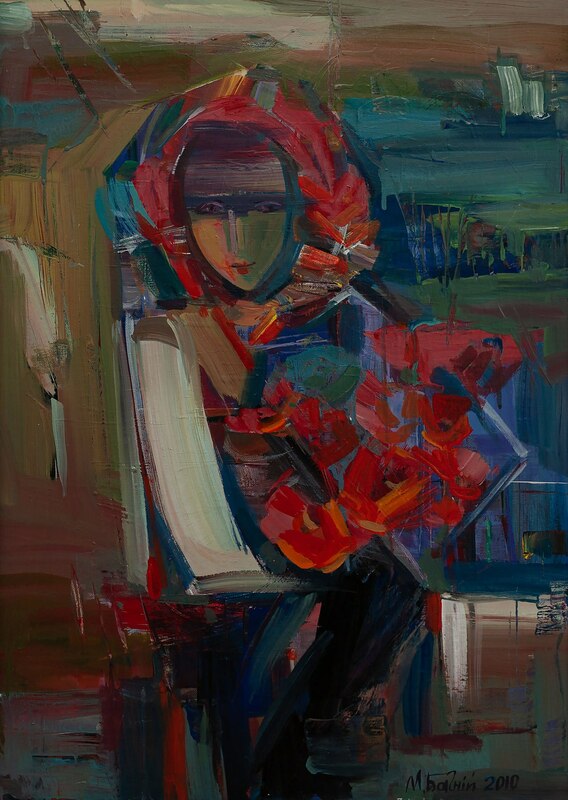 “I selected paintings in such a way as to maximally present various areas in my work, admiration, series and, moreover, demonstrate a certain professional level,” the author told about the exhibition. 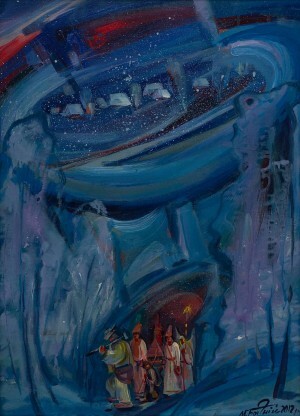 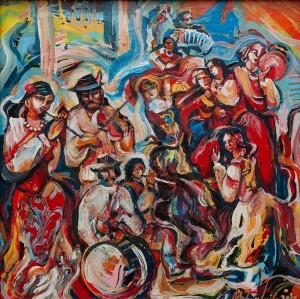 In total, the artist has more works than represented at the gallery, however, the art gallery could not contain more. The exposition is interesting for its thematic content, impresses with the colour of the paintings and creative, thoughtful layout of works. 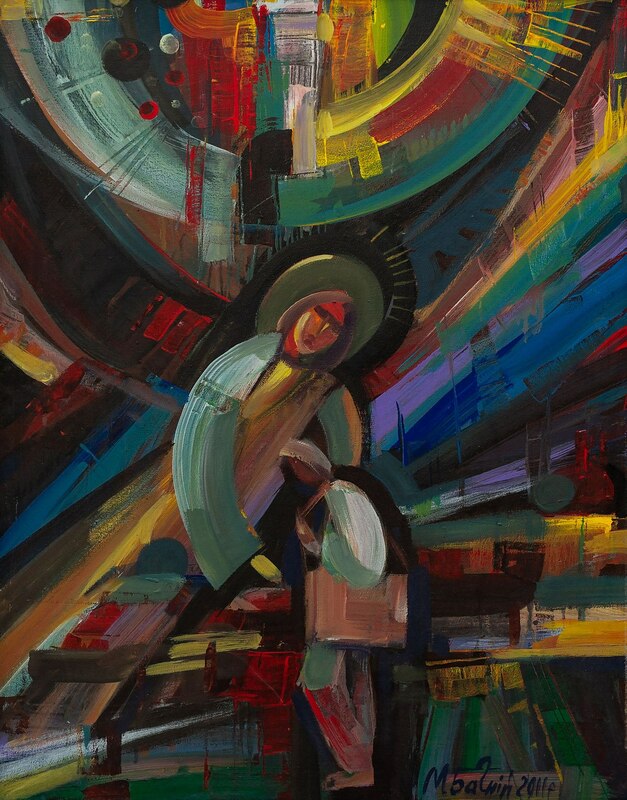 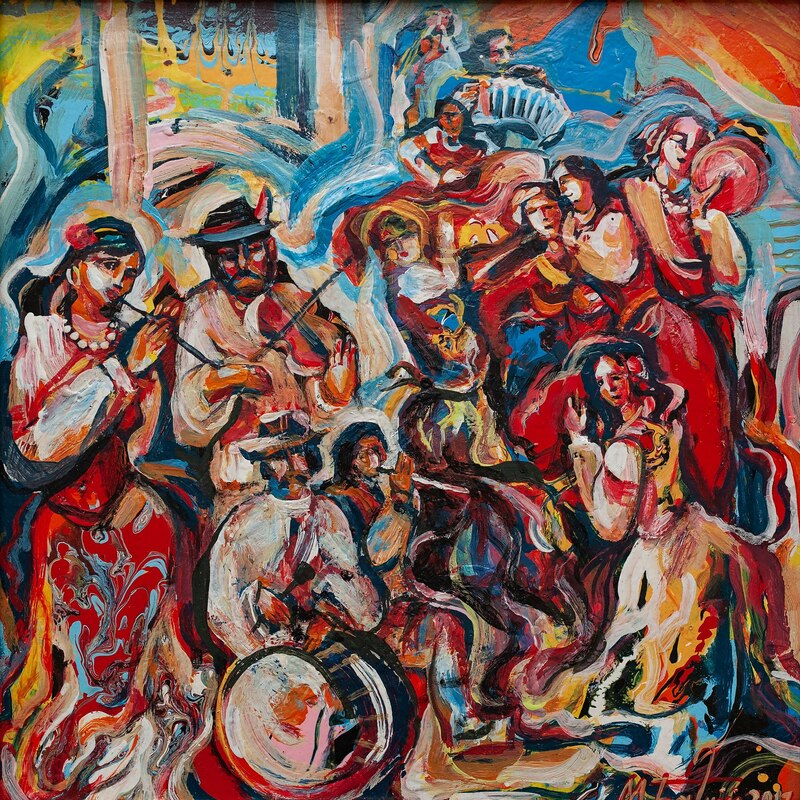 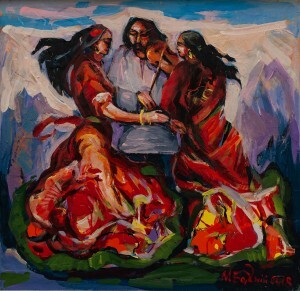 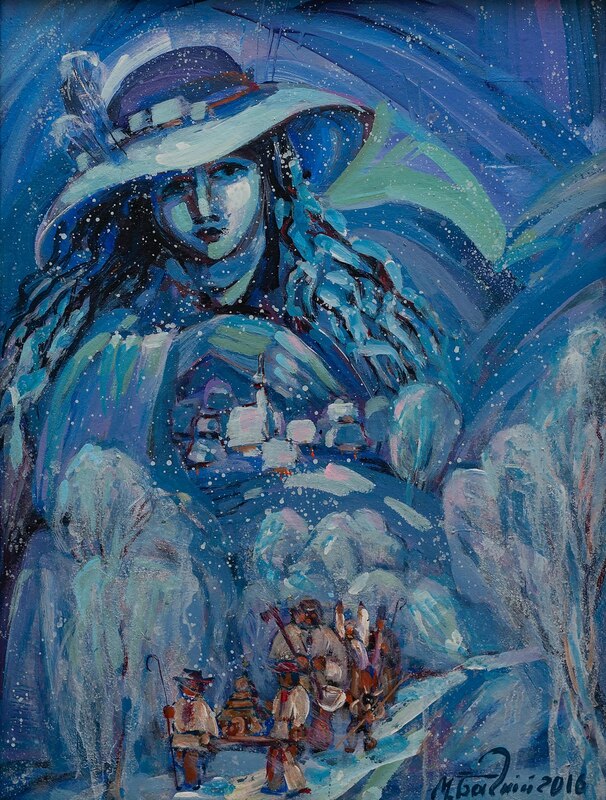 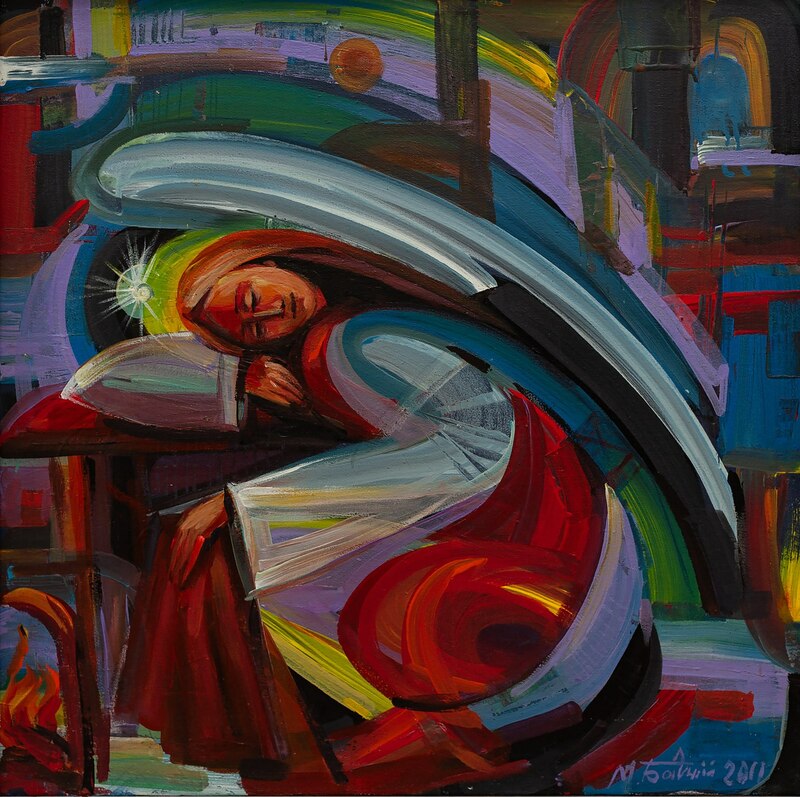 Marian Bahnii's exhibition will last until 1 December 2018.